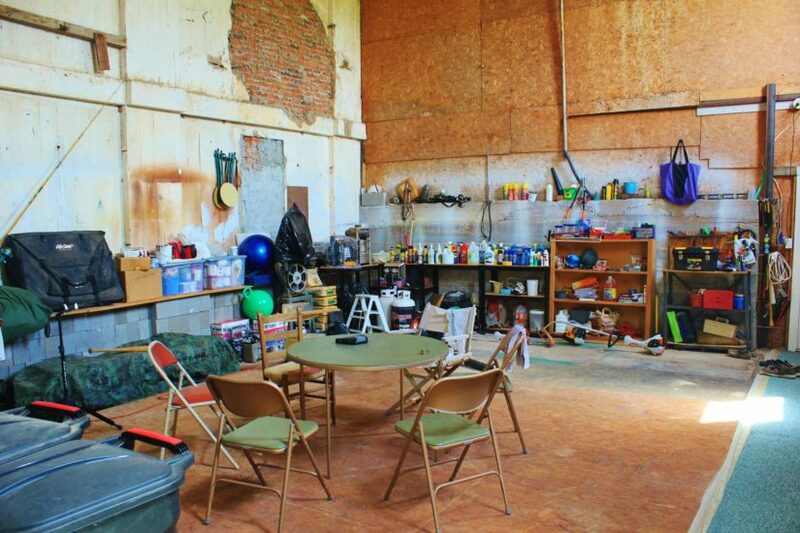 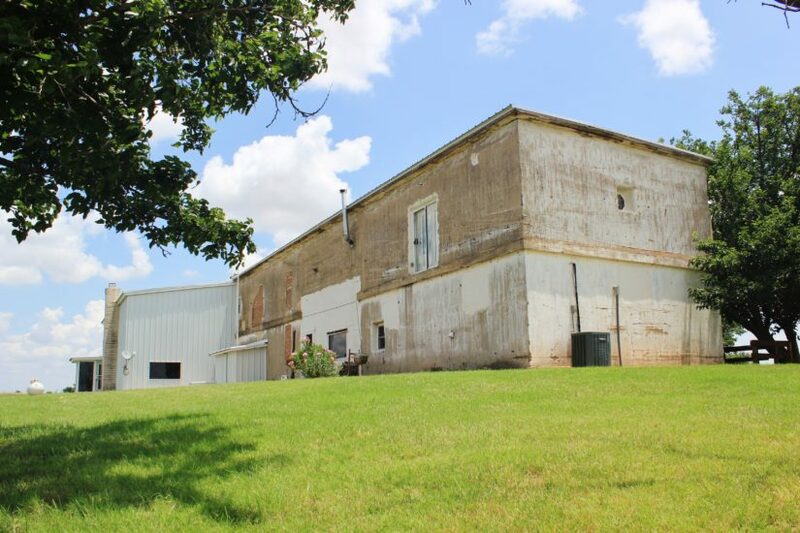 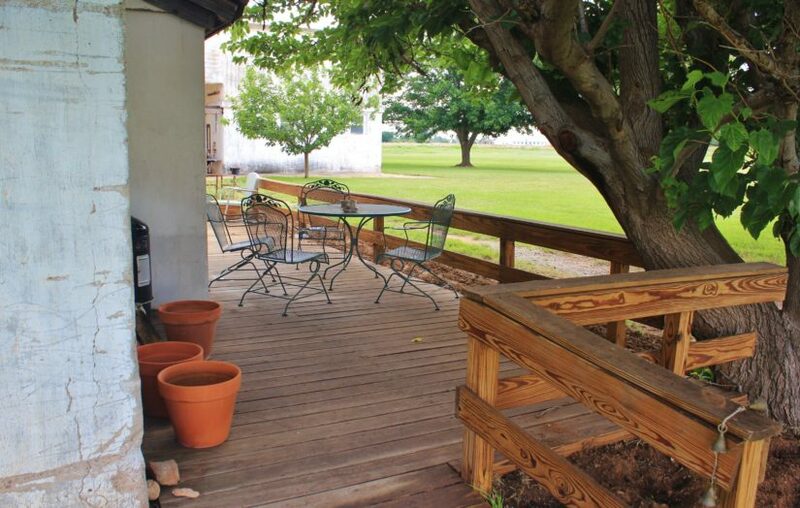 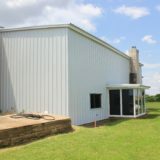 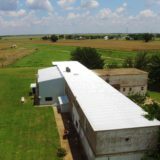 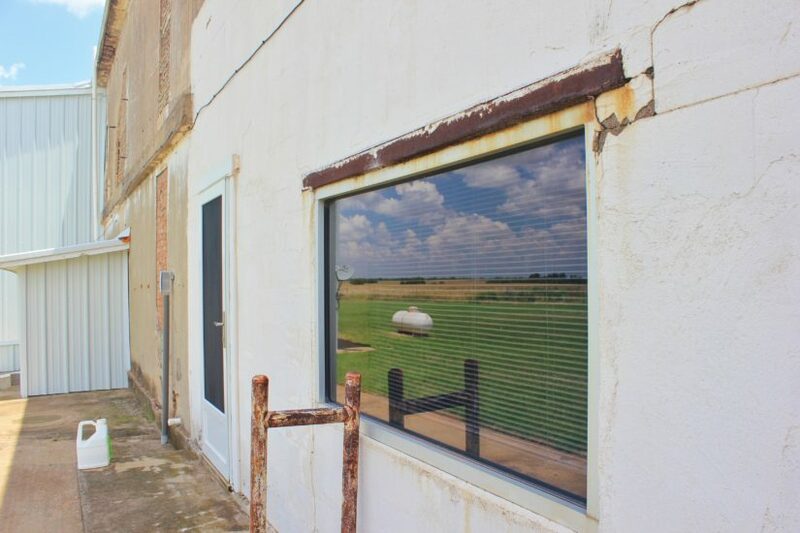 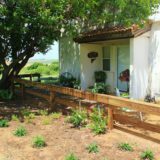 Ever wanted to live in an 8300 sq ft cotton gin? 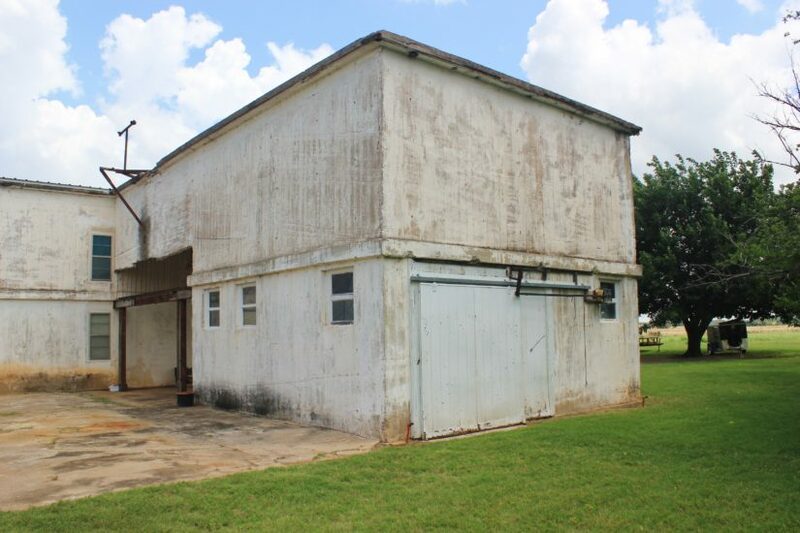 That’s right, this house is a 100 year old cotton gin that was one family’s vision to turn an antique concrete structure into a residential home. 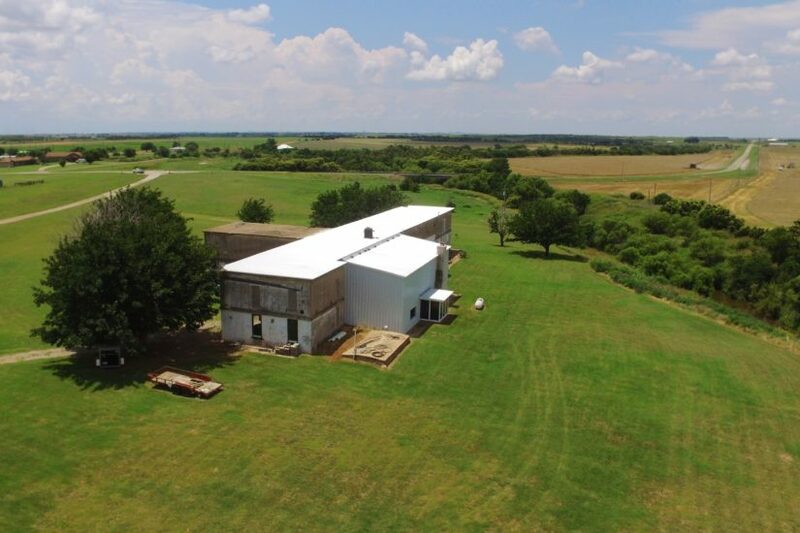 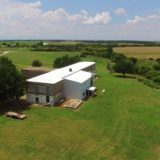 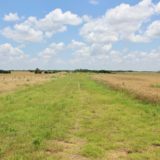 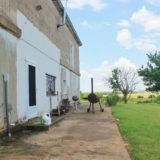 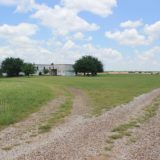 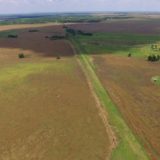 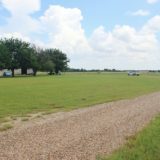 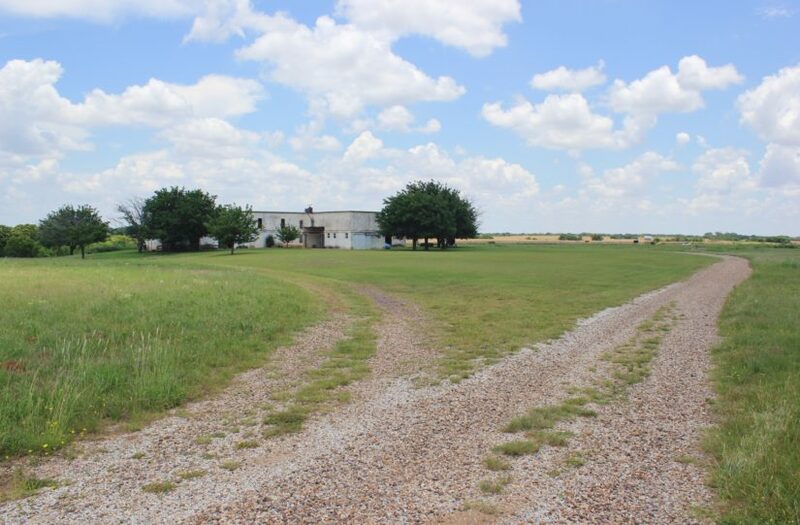 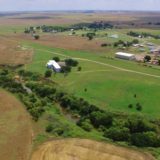 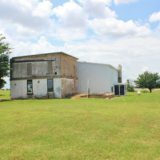 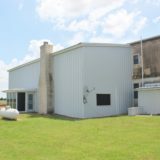 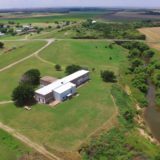 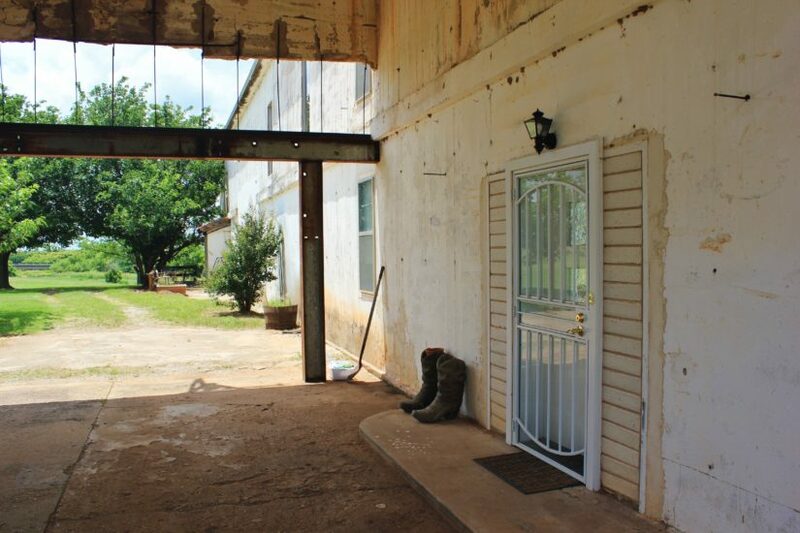 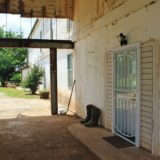 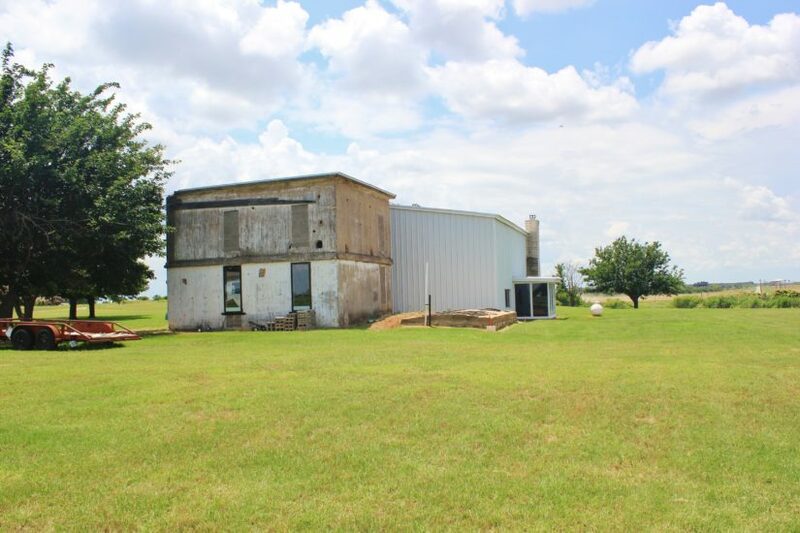 The property is located in Wilbarger County, Texas, near the Oklahoma border in the historic town of Odell, on the paved FM 2379. 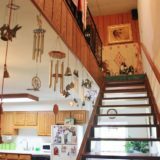 Just 15 minutes north of the town of Vernon (pop. 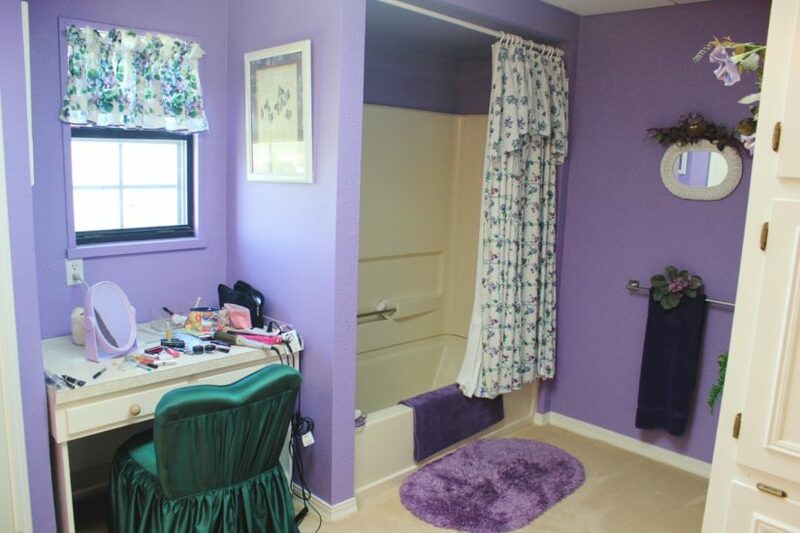 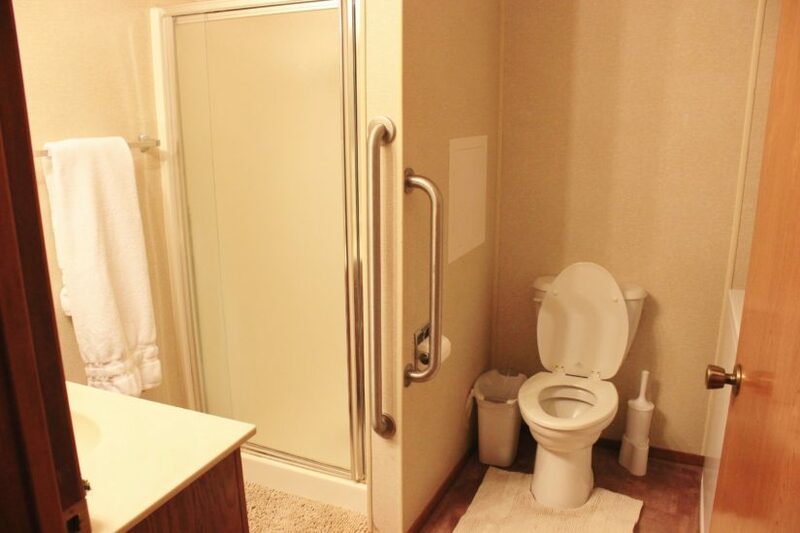 11,000), all the amenities of modern life are close by. 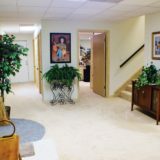 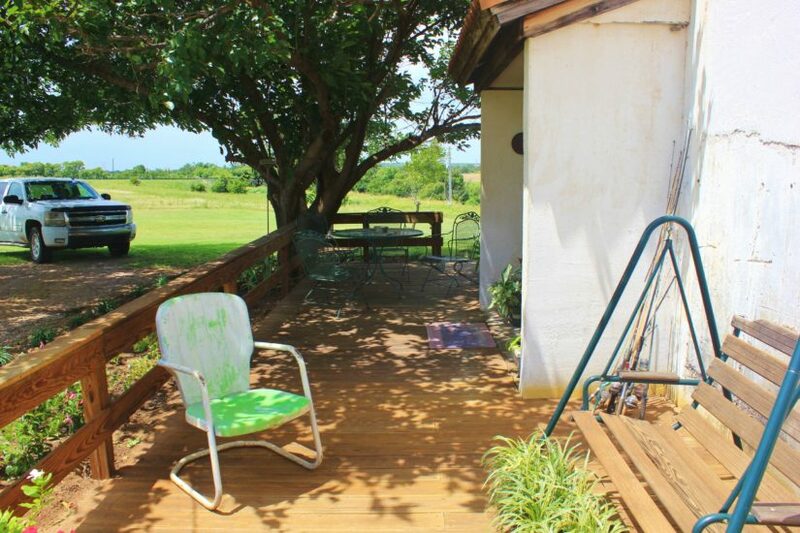 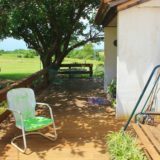 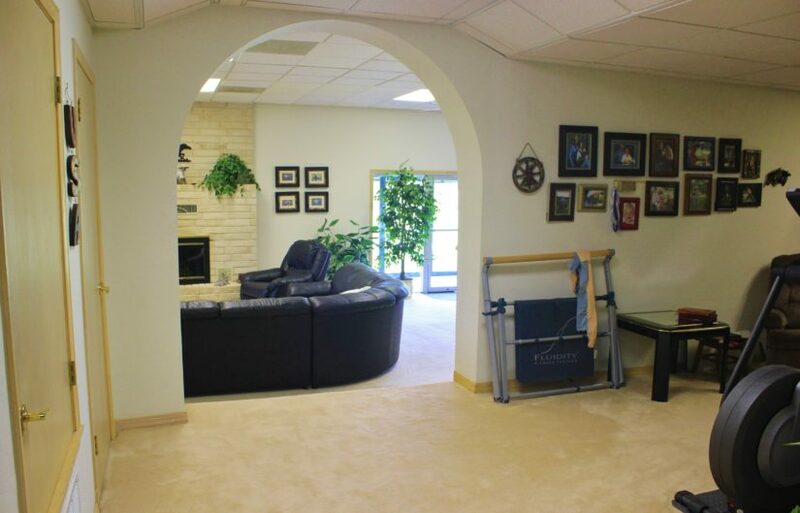 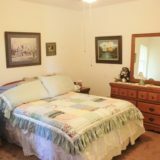 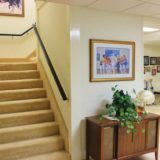 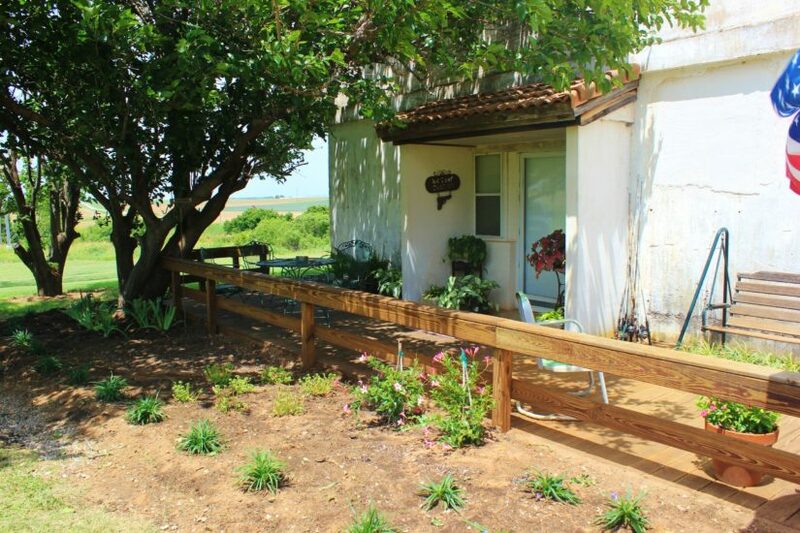 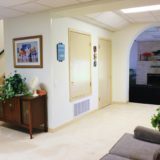 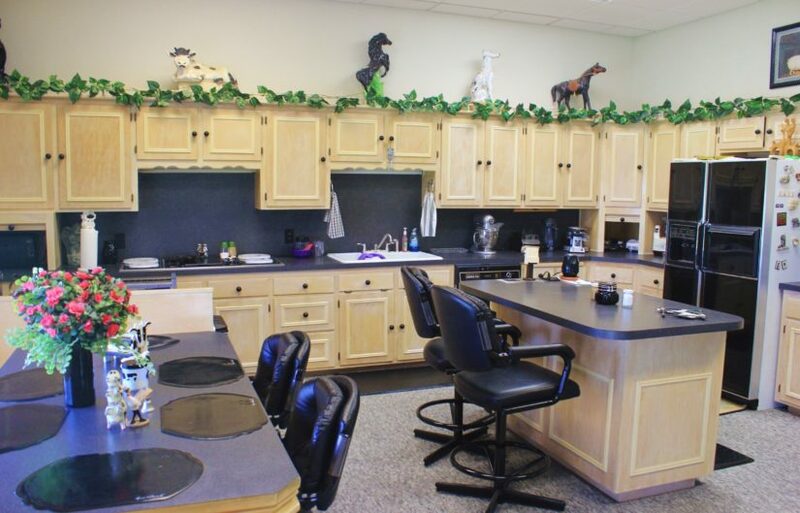 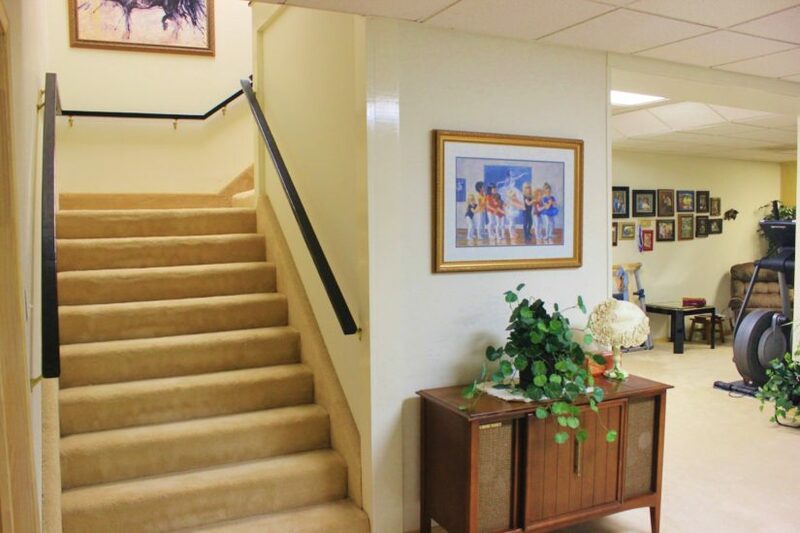 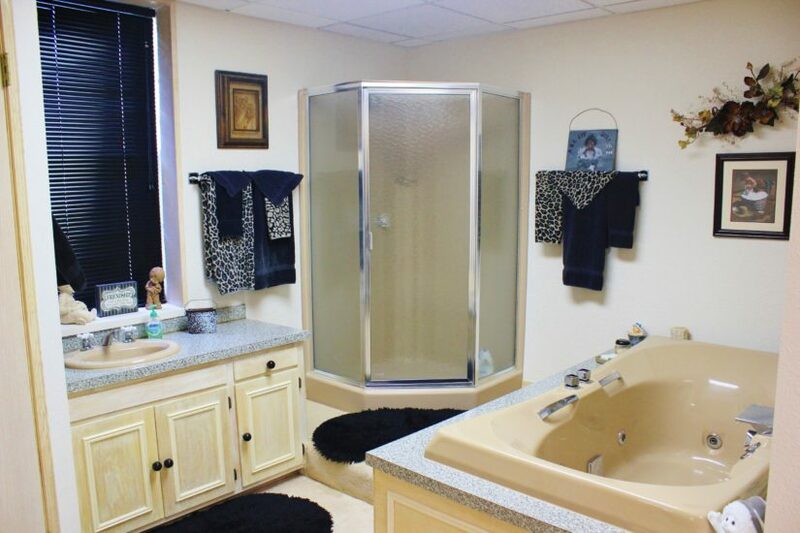 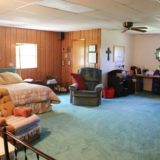 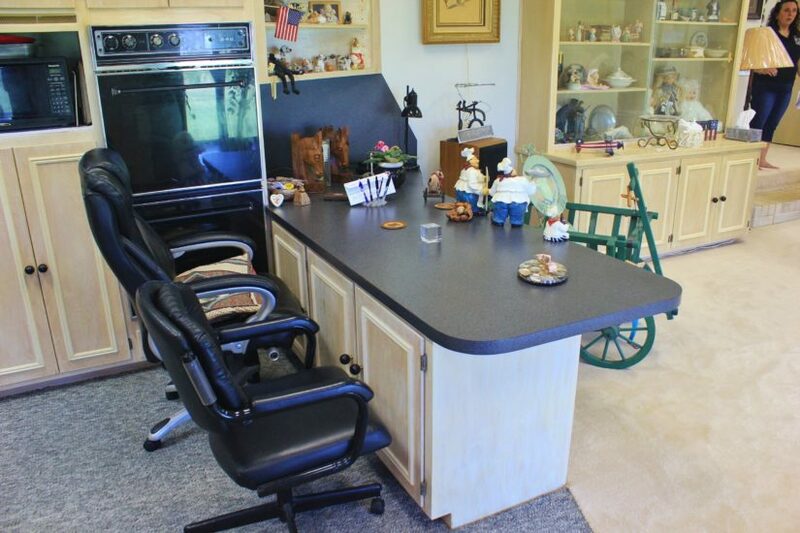 If you are looking for a central hub for family gatherings and holidays, this property is conveniently located within three hours of Dallas, Fort Worth, Oklahoma City, Amarillo, Lubbock, and Abilene. 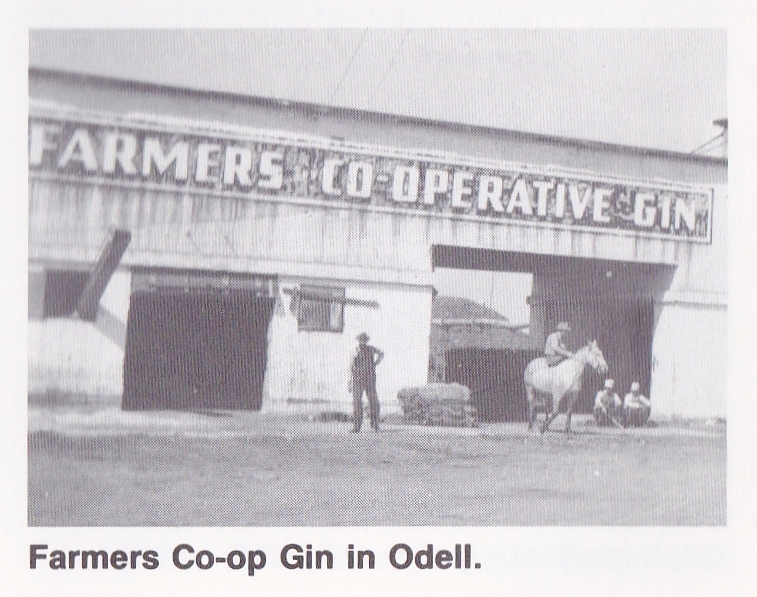 Surrounded by other historic buildings in the town, this gin stands as a monument to the agricultural roots of this region and the industrial spirit of the early 1900s. 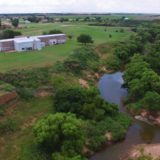 The town of Odell (current pop. 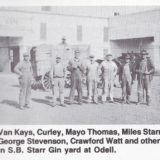 64) grew up around the Kansas City, Mexico, and Orient Railway in 1908. 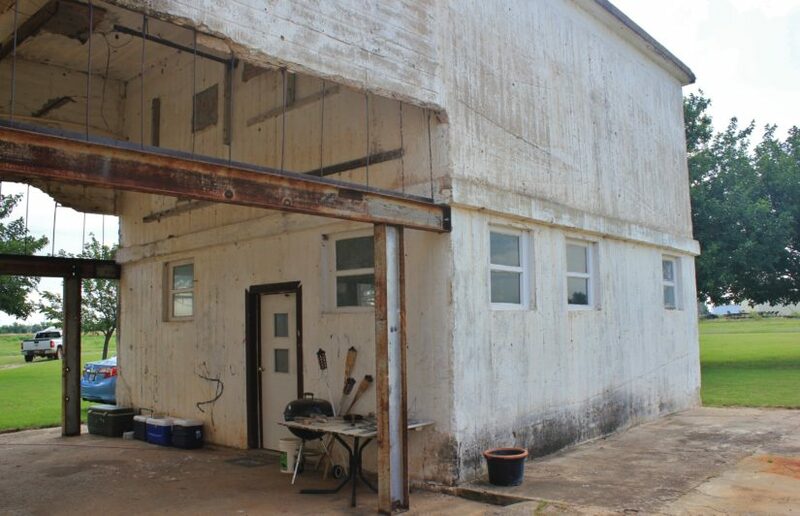 During the next two decades, many people moved to Odell to start businesses and trade goods, with the town reaching its peak population of 825 in 1928. 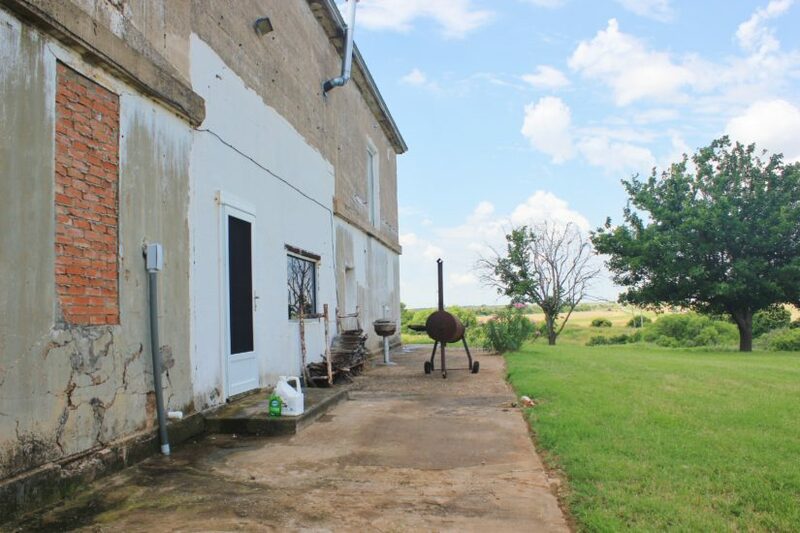 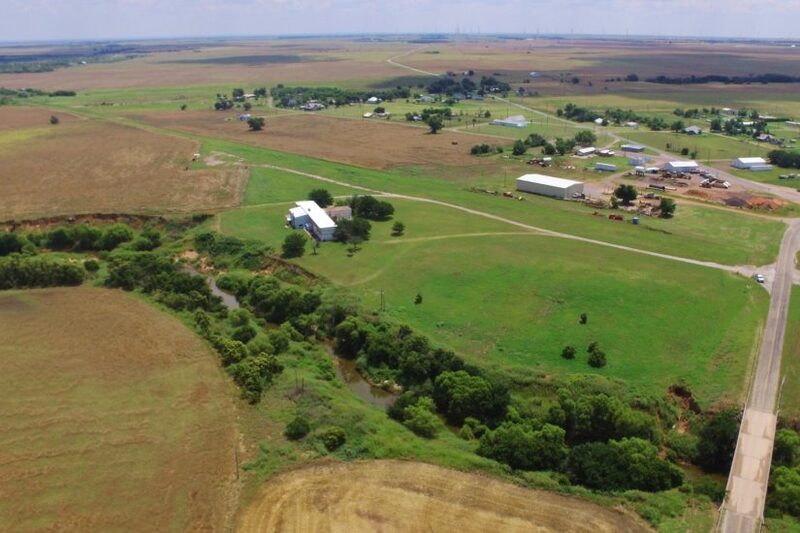 According to the deed records of Wilbarger County, S. B. Starr purchased the main part of this land in 1918, but it is unclear exactly when he built the gin. 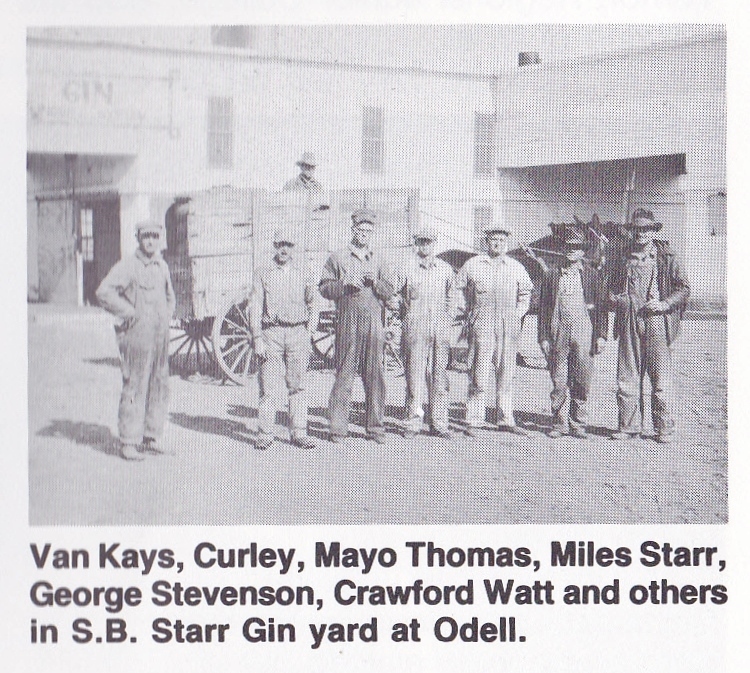 The first reference to it is in 1931, where, in a document filed of public record, Starr made the statement that “his business is that of a ginner”. 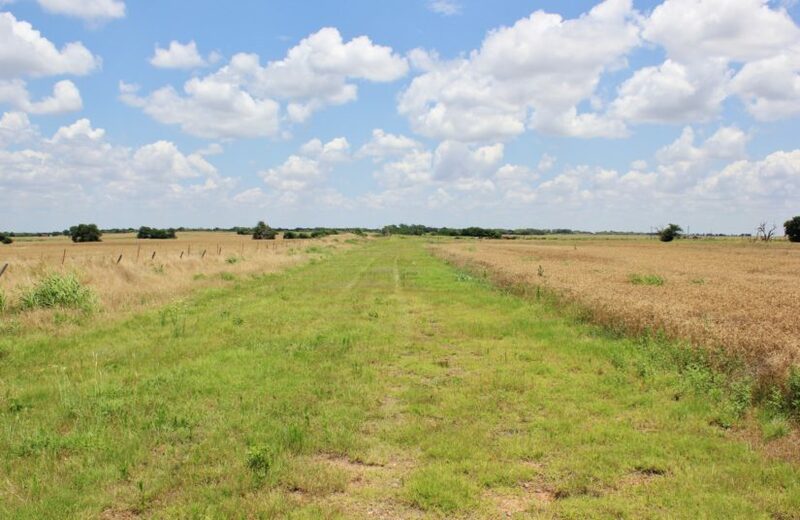 Starr used this tract of land to put his gin because of its proximity to the railroad. 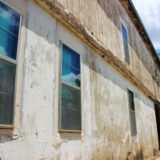 It can be assumed that the gin was probably built and was up in running on or before 1920, making this building almost a century old. 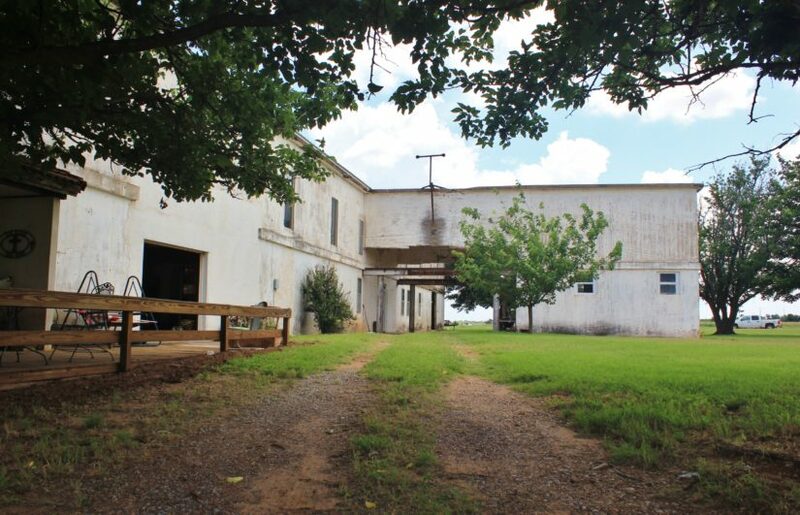 The property traded hands a few times over the next 60 years, until 1985, when the current owners purchased it. 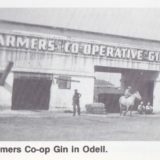 The gin was not in operation at that time, and originally the owners bought it for the land itself, being a good location to build their family home. 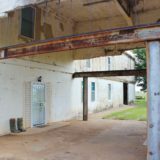 After much inspection and contemplation though, they decided that the gin building was every bit as good a structure as anything they could build themselves, so they decided to just make it their home. 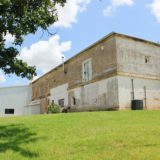 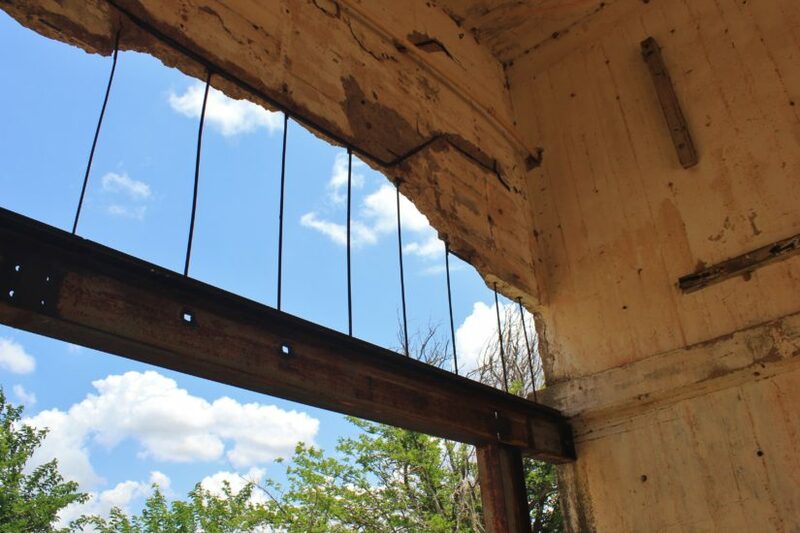 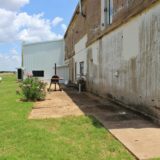 Being local to the area, the couple saw the benefit of preserving a piece of local Texas history as well. 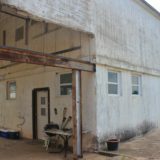 Fast forward seven years, and construction was complete; the owners moved into the property full time in 1992! 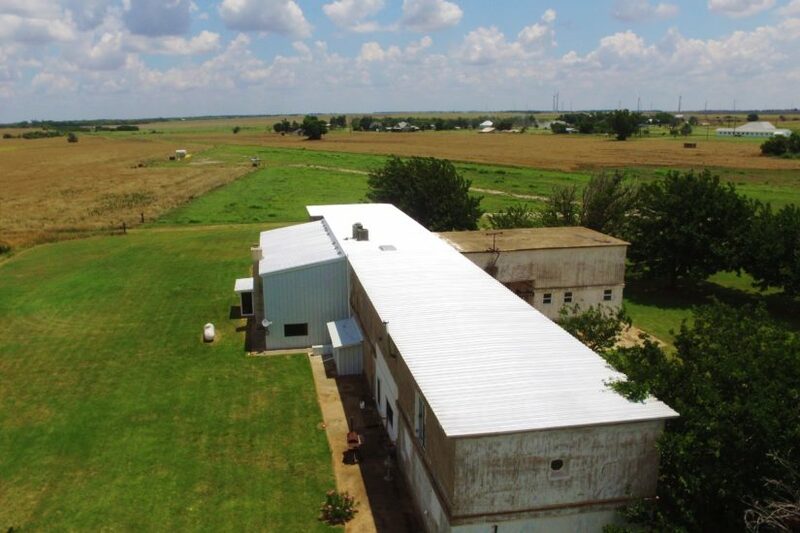 This property has served the family well over the last 24 years, but after much consideration and discussion, they have decided to list it to move onto their next season in life, so it is now on the market for the first time since it was converted into a home. 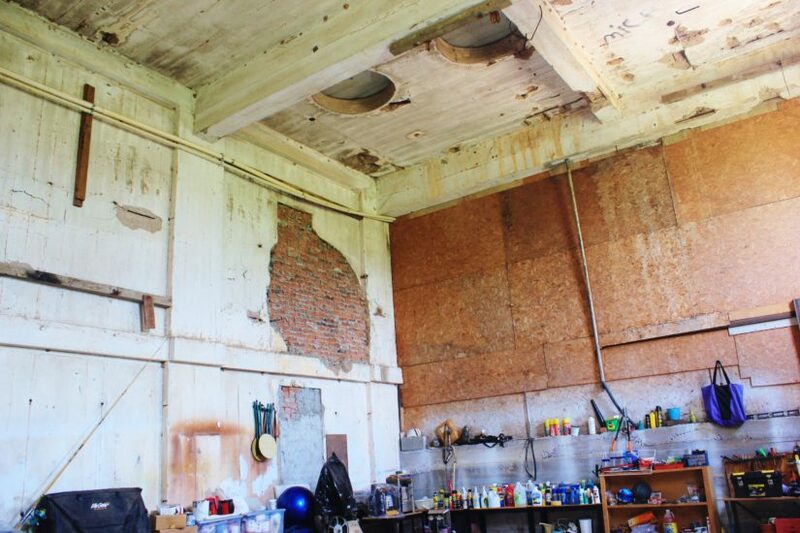 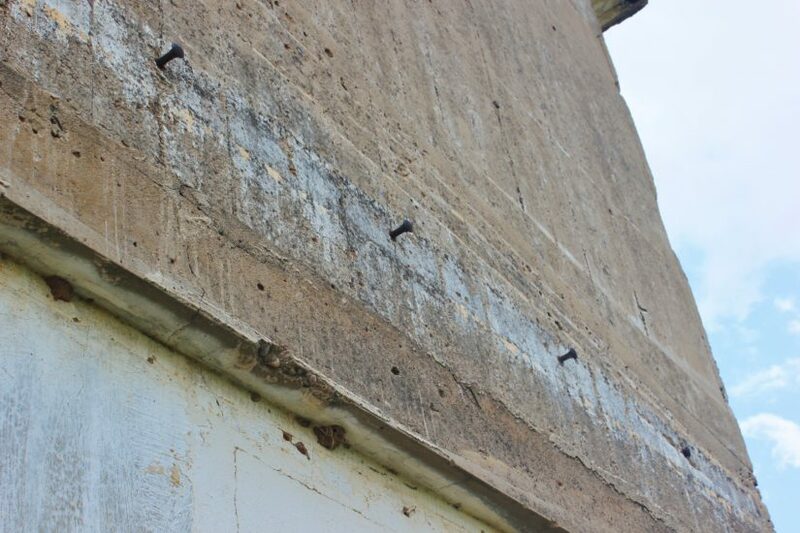 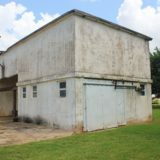 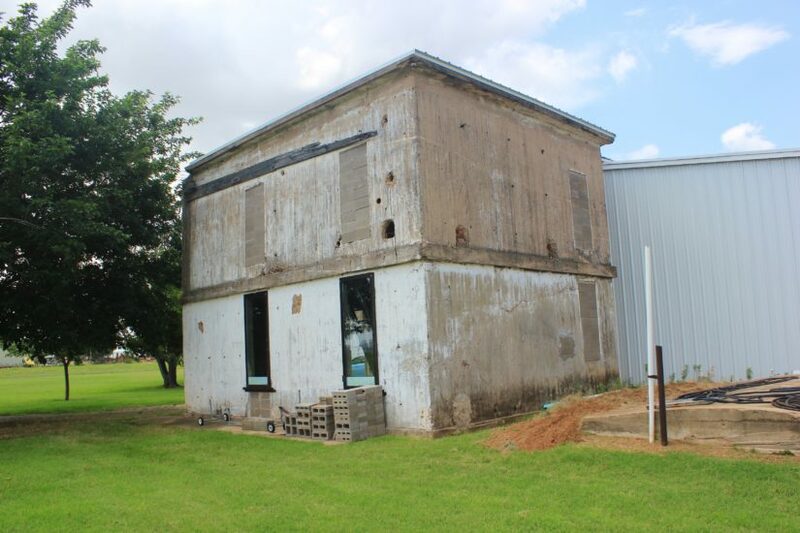 This building is one large, solid structure and has concrete overlaid walls up to 12” thick in some parts. 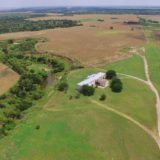 It is like a fortress; you can feel the strength and integrity of the place by just walking beside its massive walls, which stand some 22′ high. 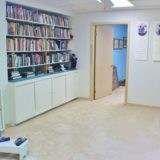 When the owners started this project, they stripped the place down to the original frame and built up from there. 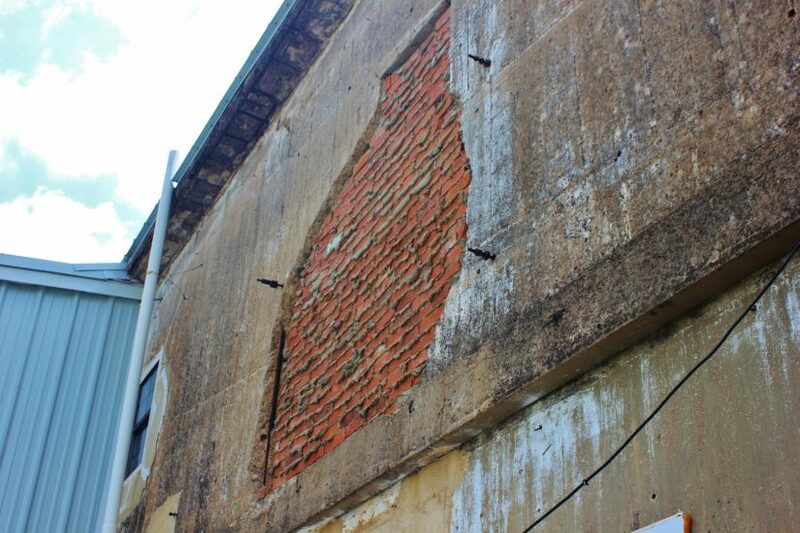 Reinforcements and additional structural improvements were added where needed. 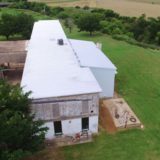 The whole building was wired, and plumbing was installed. 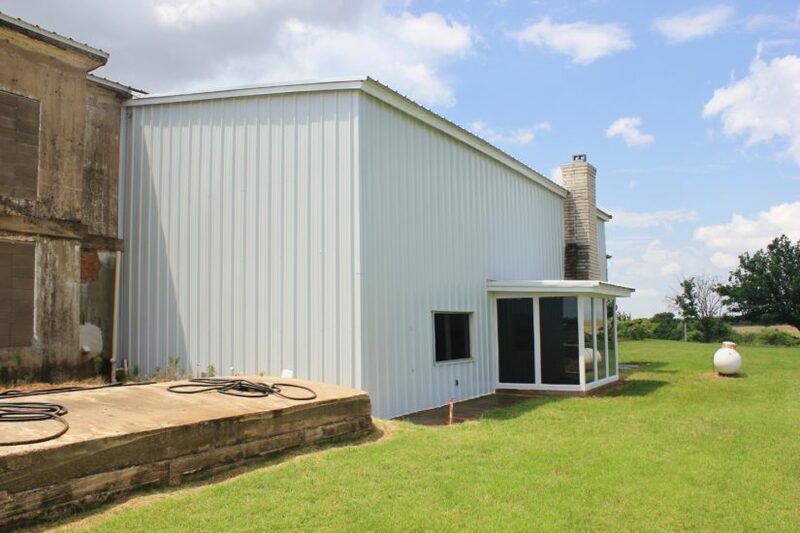 A metal roof was built over the original flat tar roof, and new double-pane windows were installed. 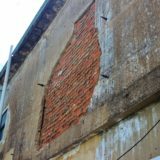 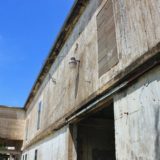 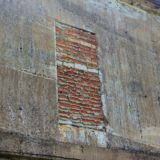 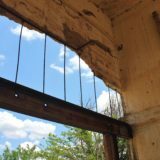 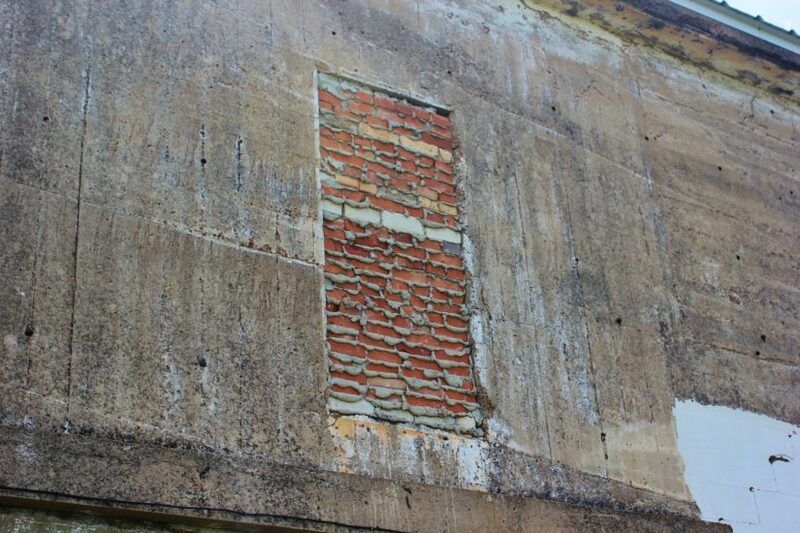 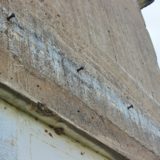 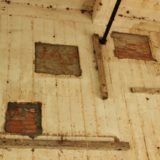 The building was left with its original character on the exterior though, and there are brick, bolts, and angle iron exposed in certain areas, reminding you of its history and original use. 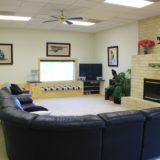 The main house has two stories and over 4600 sq ft of living space. 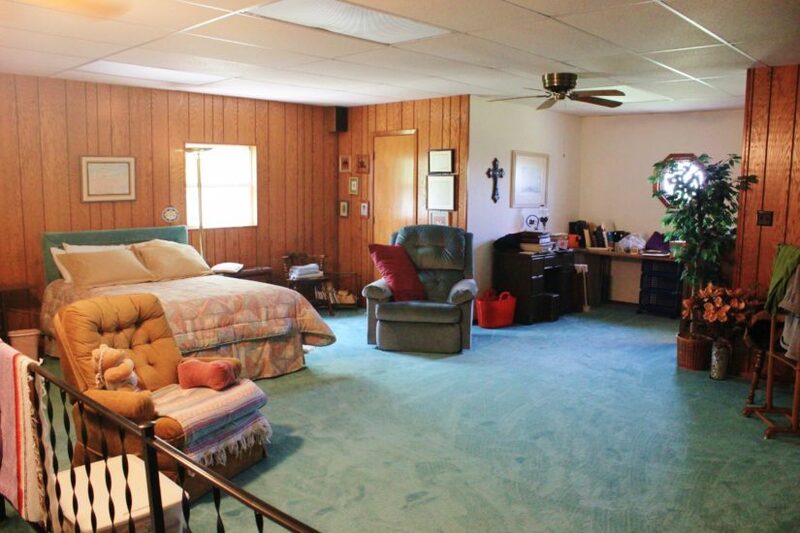 Three bedrooms and three bathrooms provide plenty of room, plus there’s a library and an office. 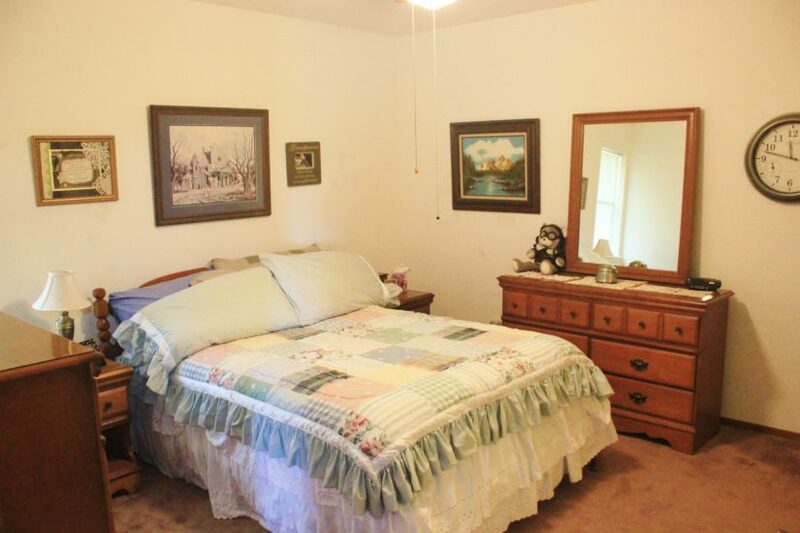 All the bedrooms and two of the bathrooms are upstairs; the third bathroom and everything else is downstairs. 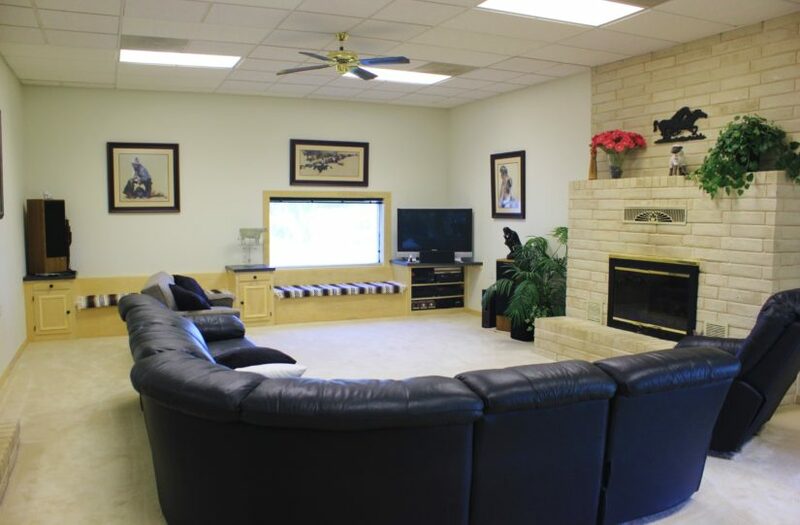 The kitchen opens up to large living room with a gas fireplace; this space can very easily flow outside through the sun room for more entertaining space. 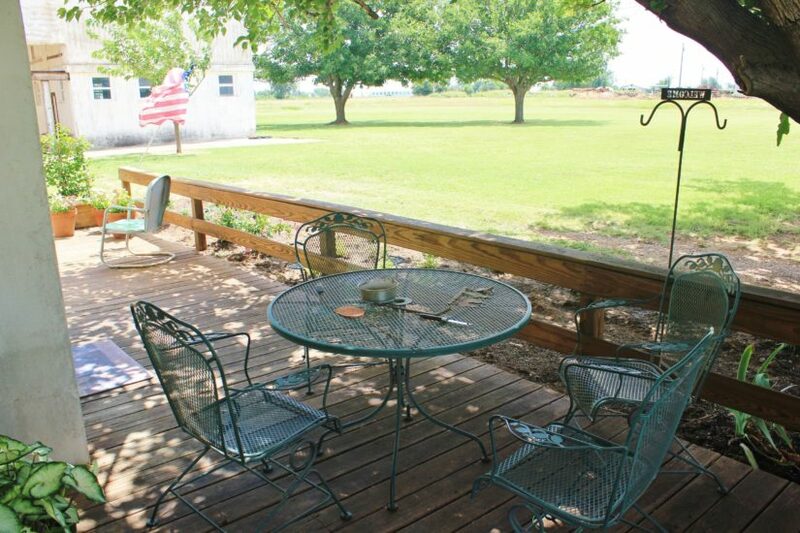 Out back, there is a long concrete patio/walkway, where you can grill and enjoy a beautiful sunset over the creek. 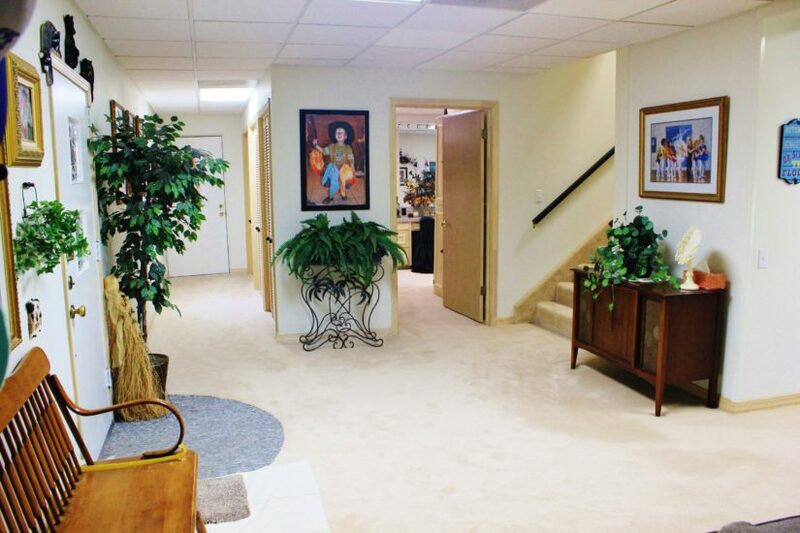 The interior has carpet throughout it. 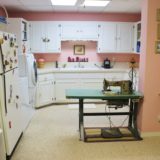 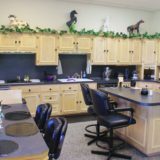 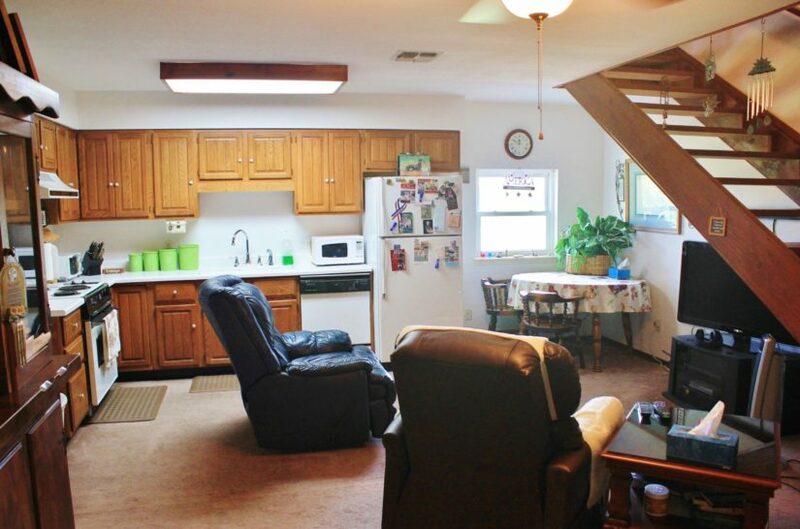 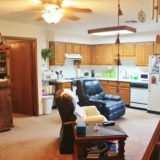 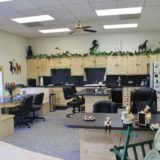 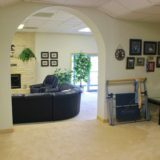 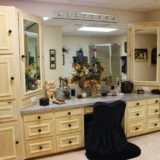 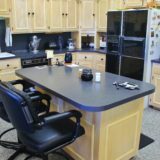 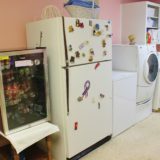 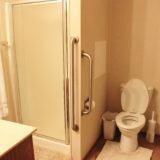 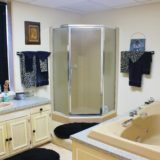 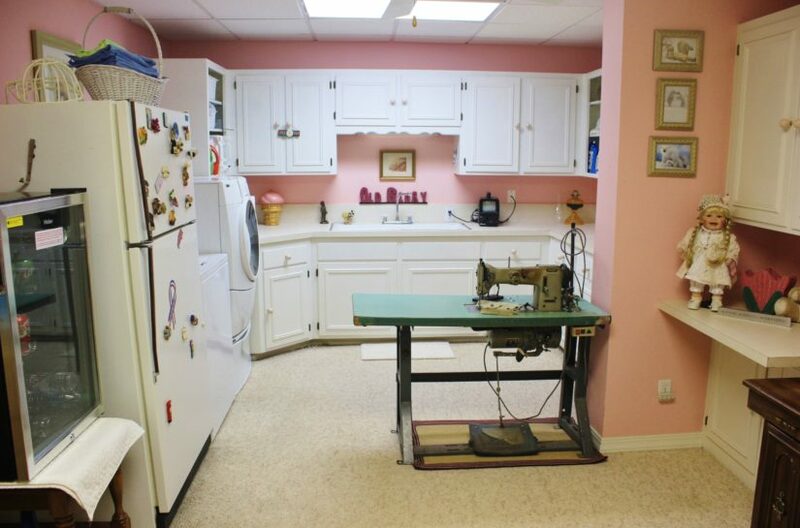 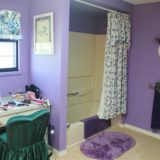 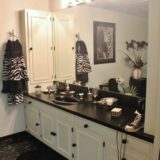 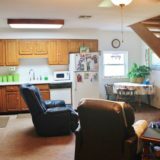 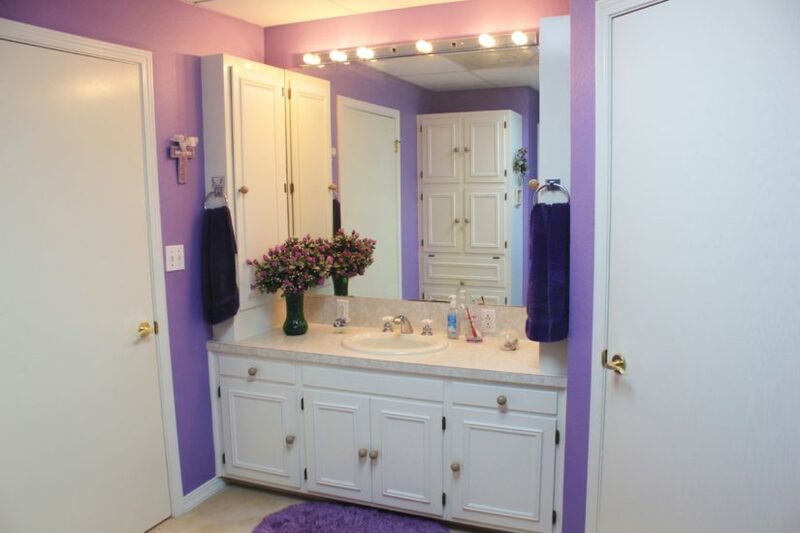 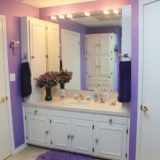 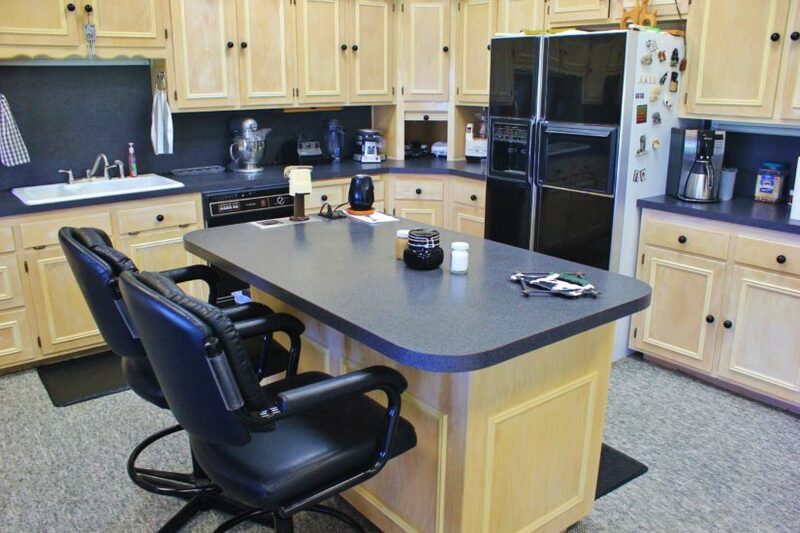 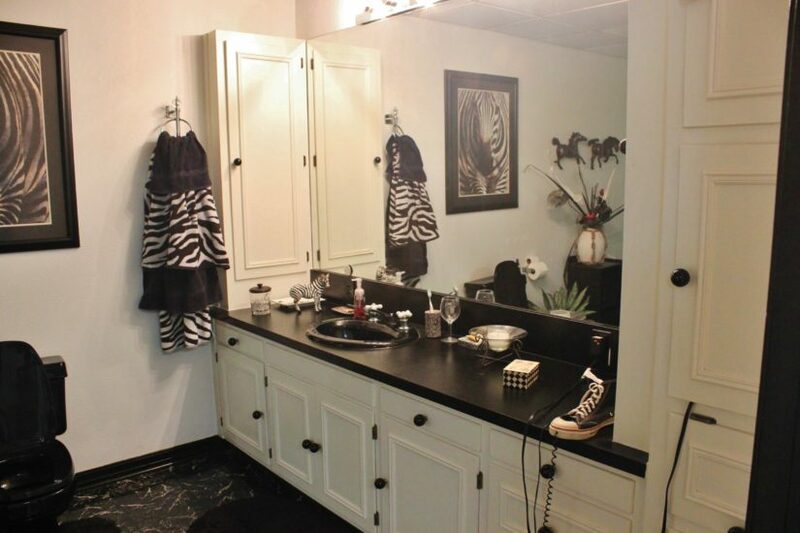 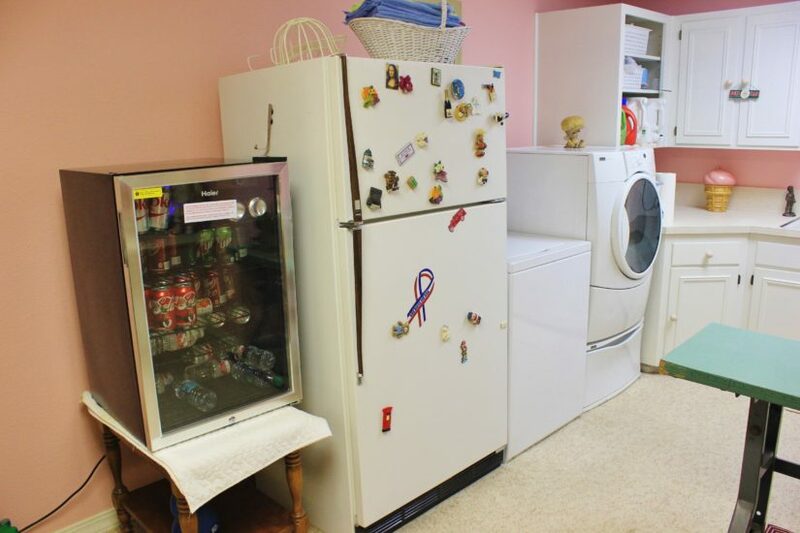 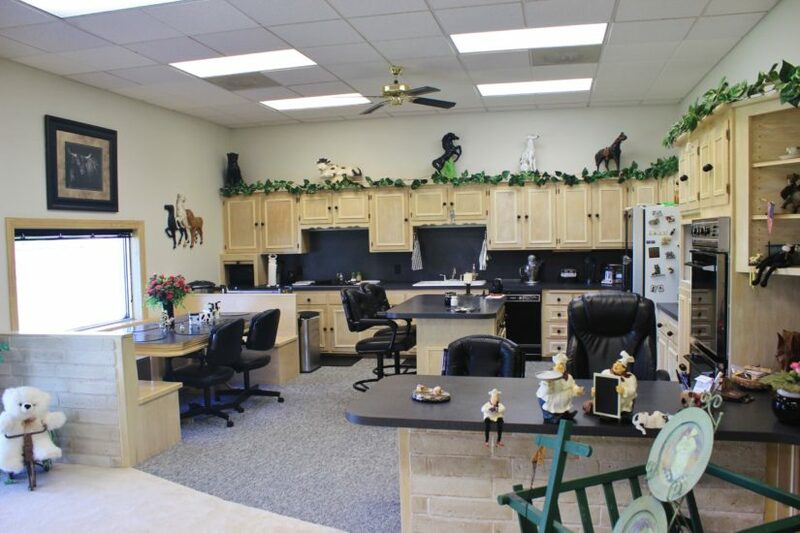 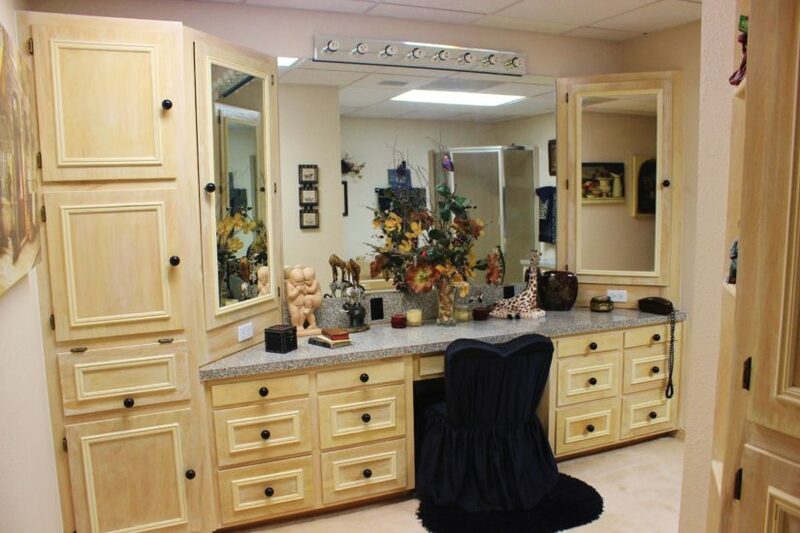 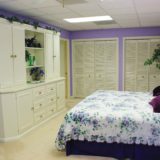 An additional den, large utility room, and extra storage closets round out this beautiful home. 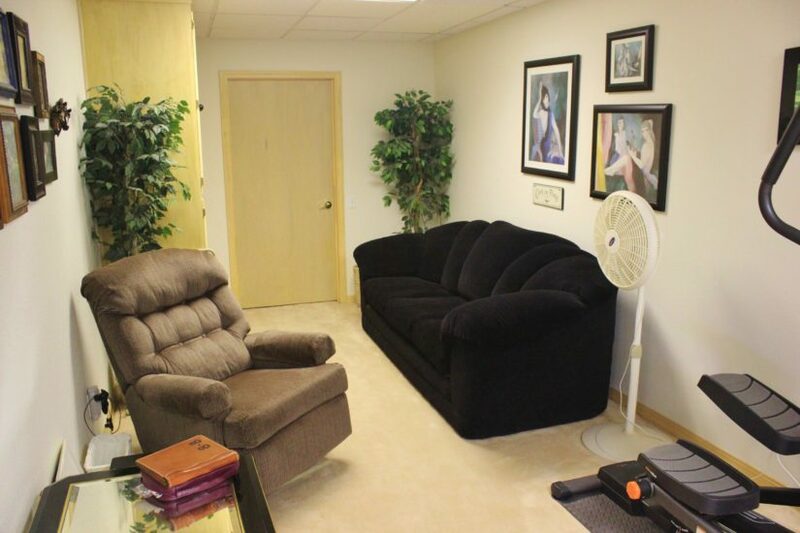 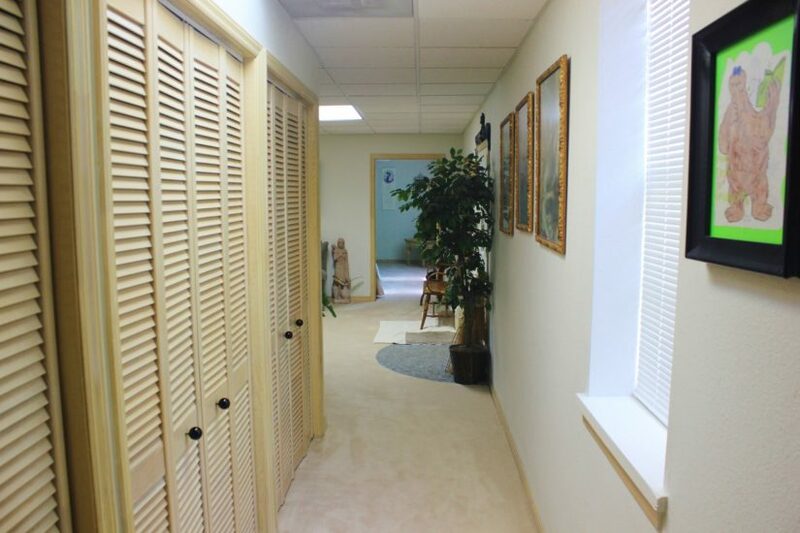 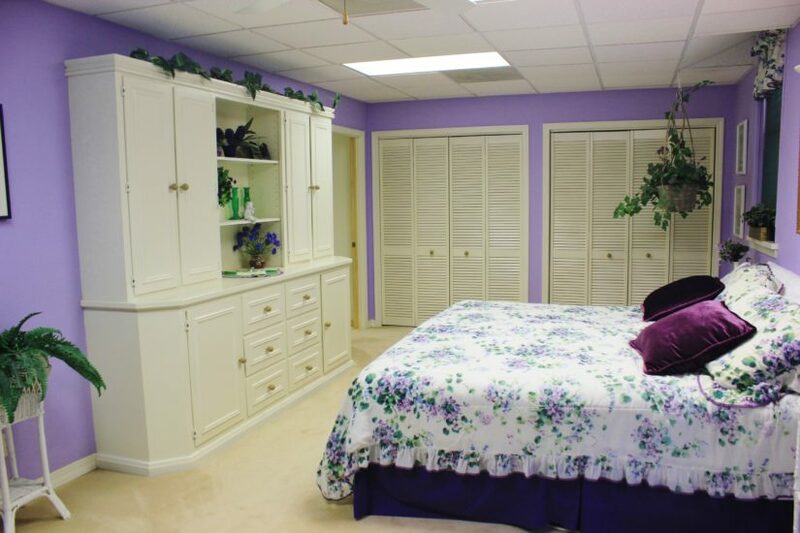 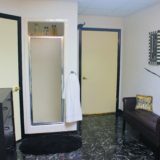 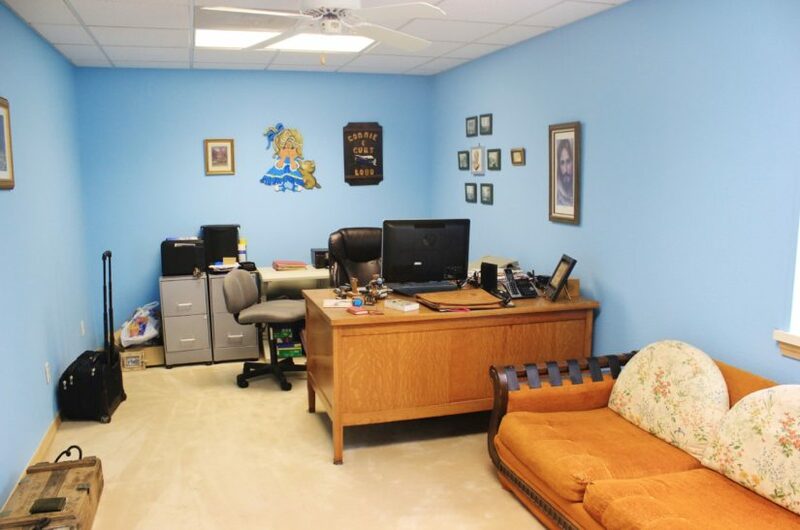 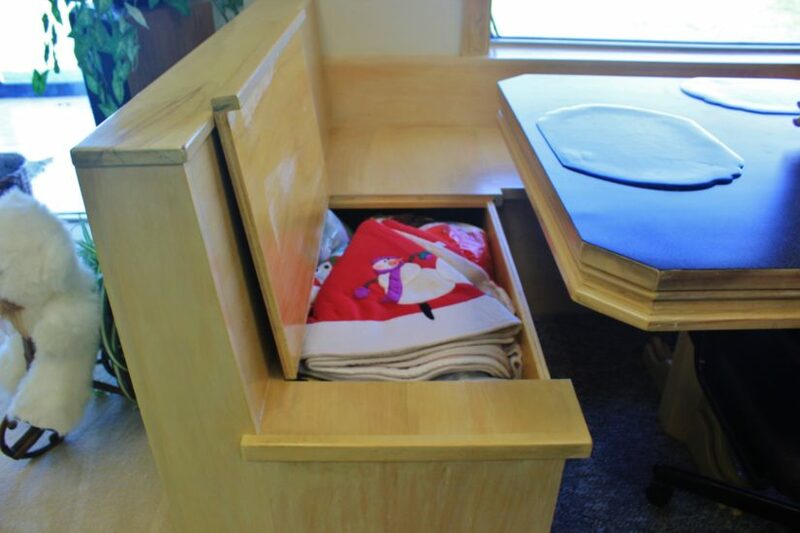 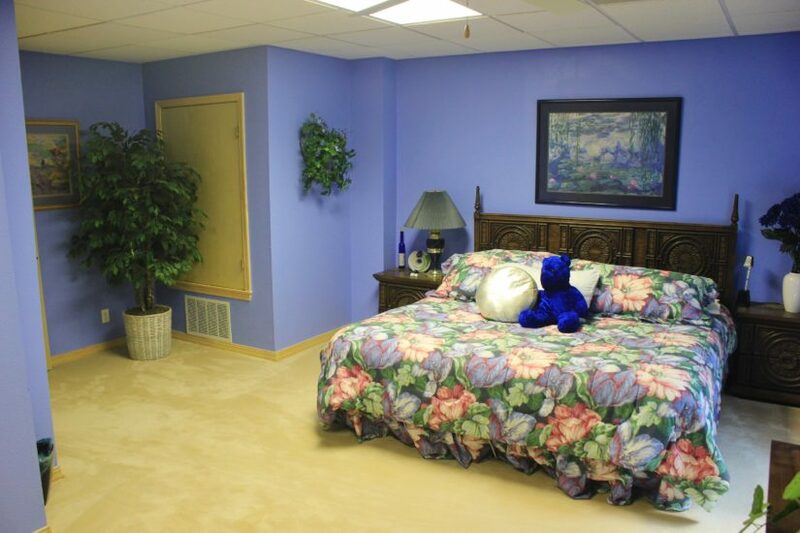 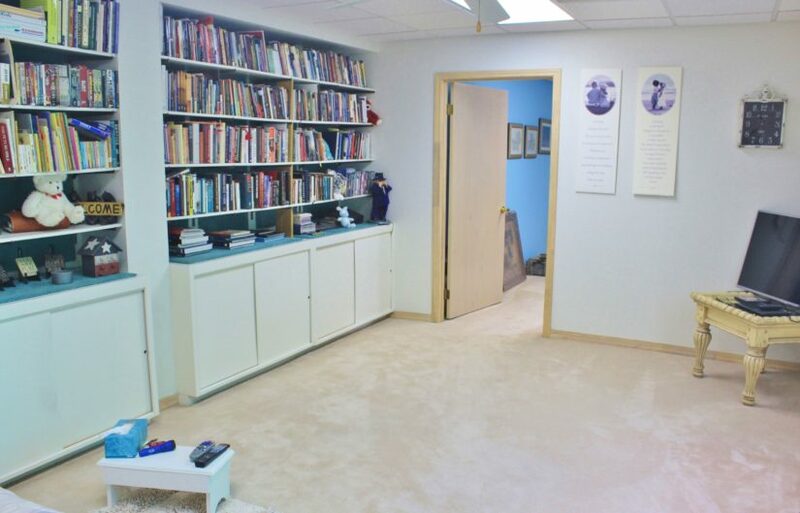 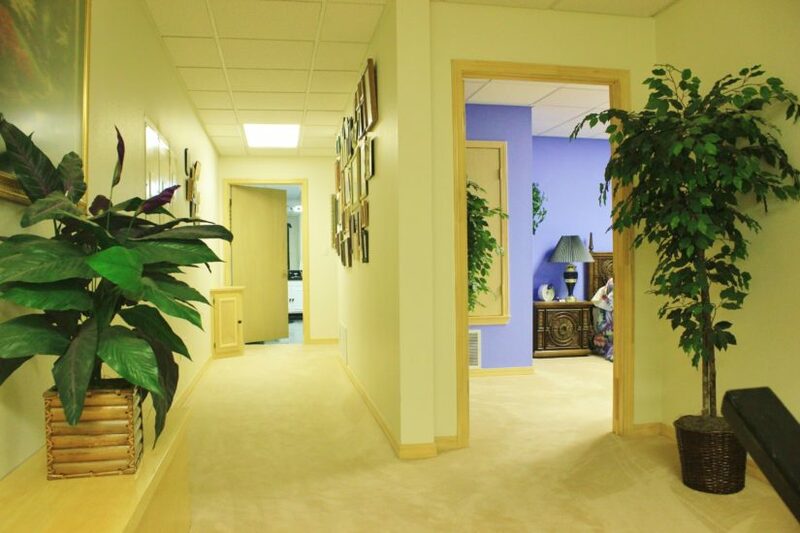 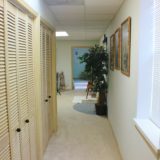 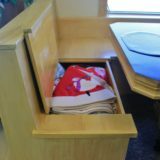 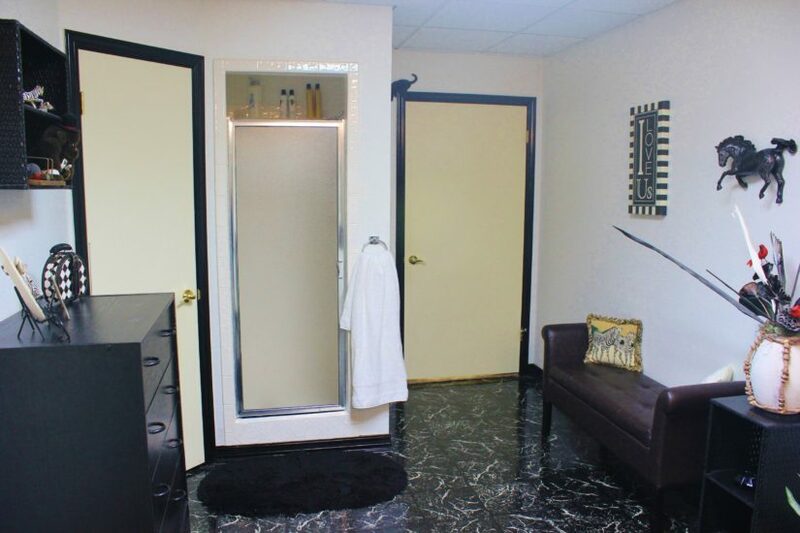 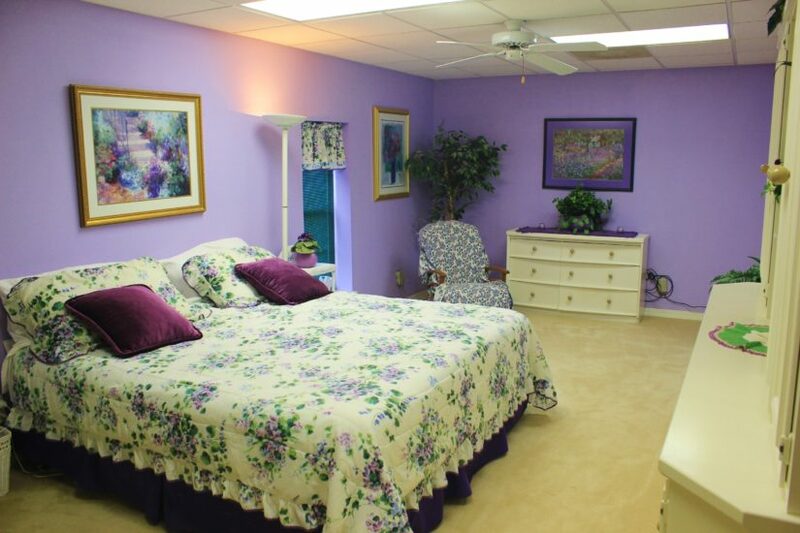 On the south end of the building, the owners used a 1440 sq ft storage room as the layout for the mother-in-law suite. 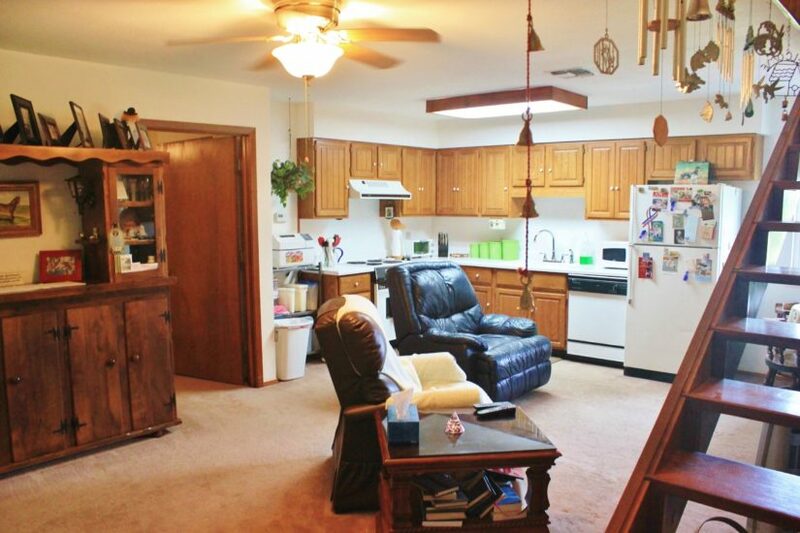 The apartment they built here has two bedrooms, two bathrooms, its own kitchen, living room, and private patio deck. 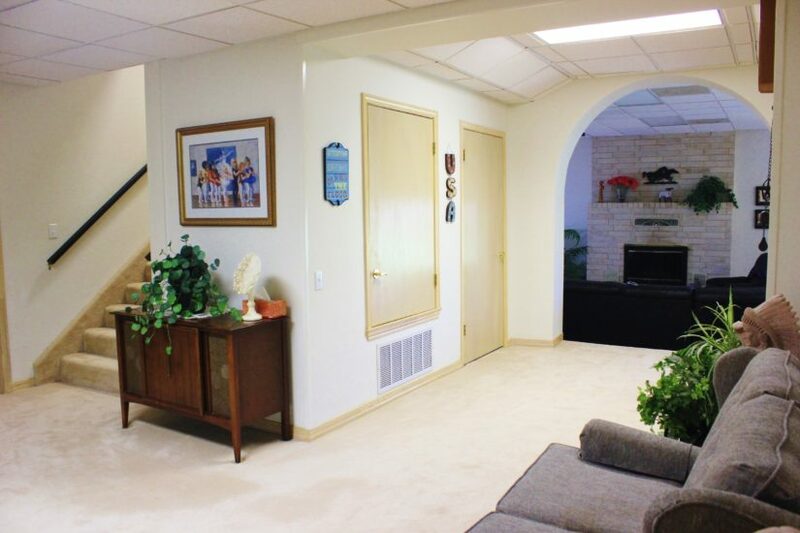 This apartment is great for weekend guests, providing them their own space and privacy. 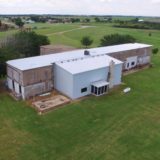 The gin has four other empty spaces, totaling over 2300 sq ft, that could be used for anything from an indoor pool to a movie theater, additional storage or vehicle garage. 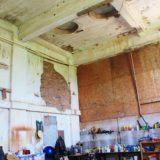 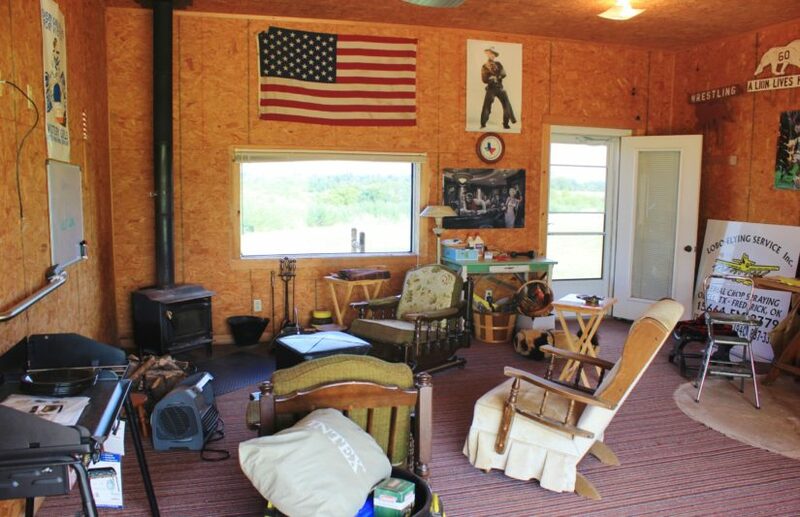 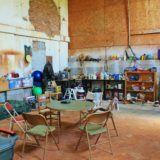 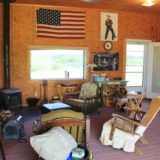 One of these rooms is currently being used as a sitting area and has a wood burning stove in it; another has been used to pick guitars because of the acoustic qualities of the concrete walls and ceiling. 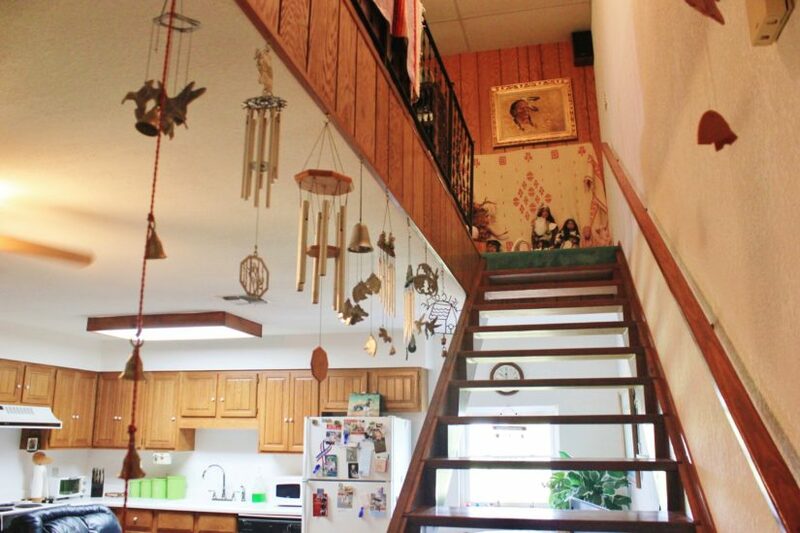 The possibilities with such a large structure are truly endless! 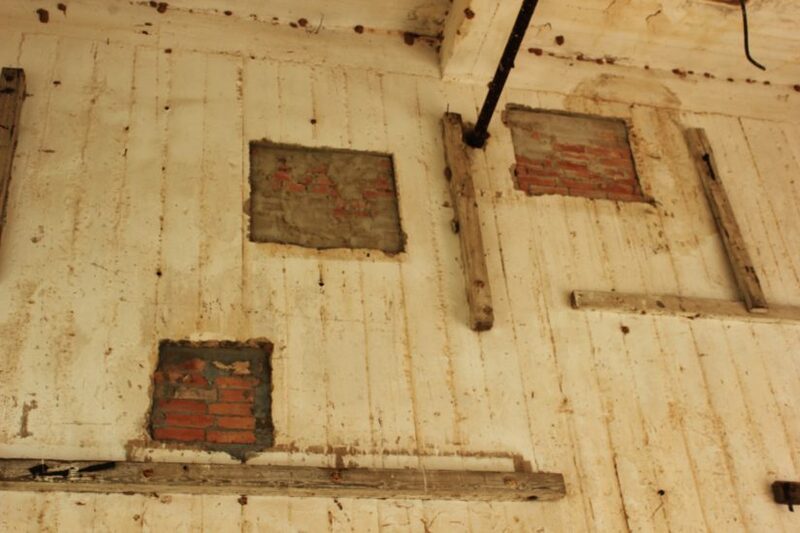 Overall, there are more than 8300 sq ft of space within the gin building. 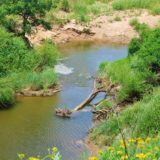 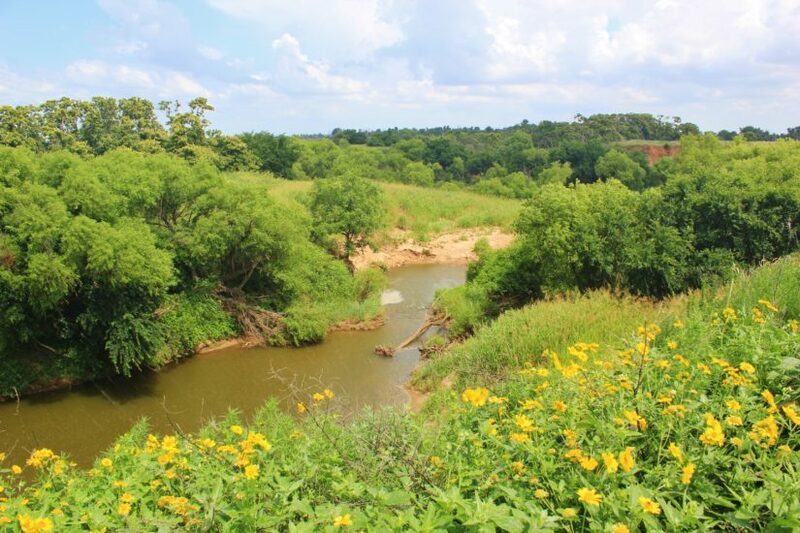 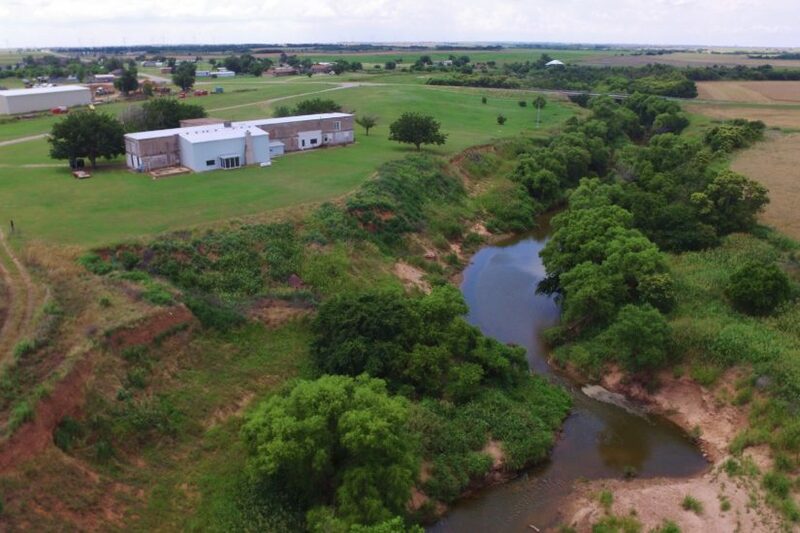 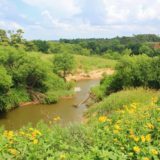 The Odell Cotton Gin sits on 22 +/- acres, with Wanderers Creek, a spring fed tributary of the Red River, running through the middle of it. 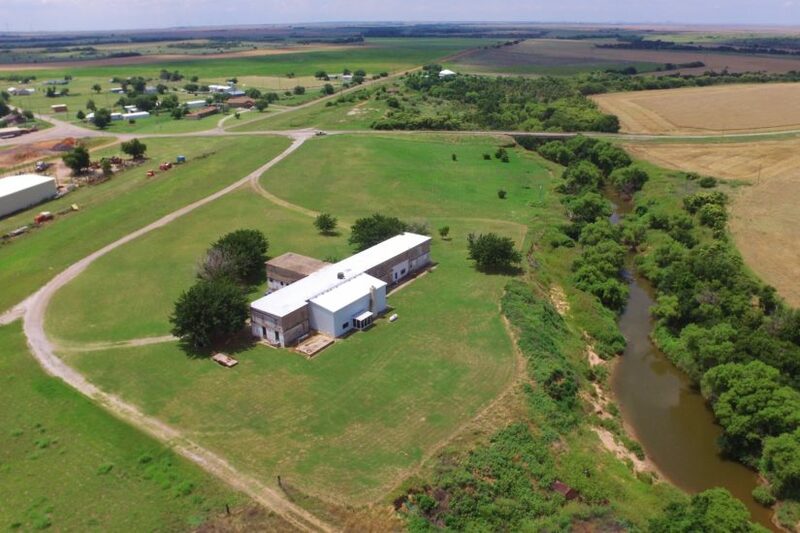 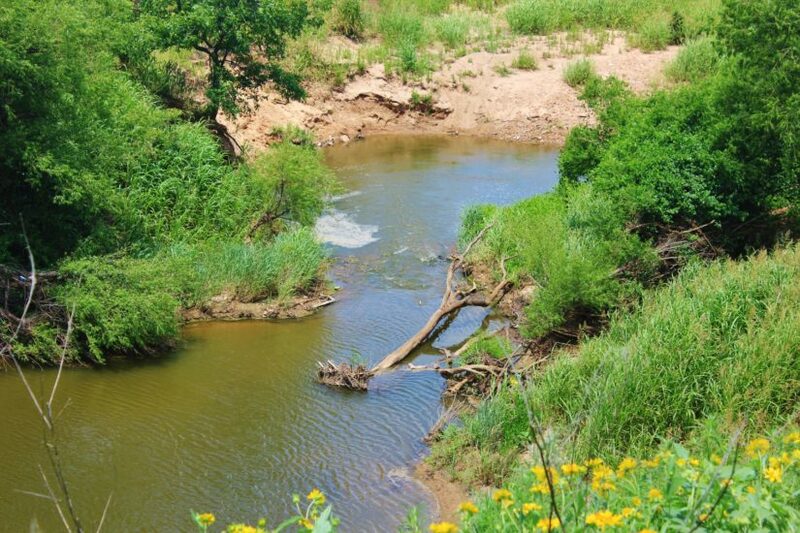 With over 600 feet of frontage on this creek, you get the benefit of live water year around, plus fishing opportunities and the scenery of its hardwood lined banks. 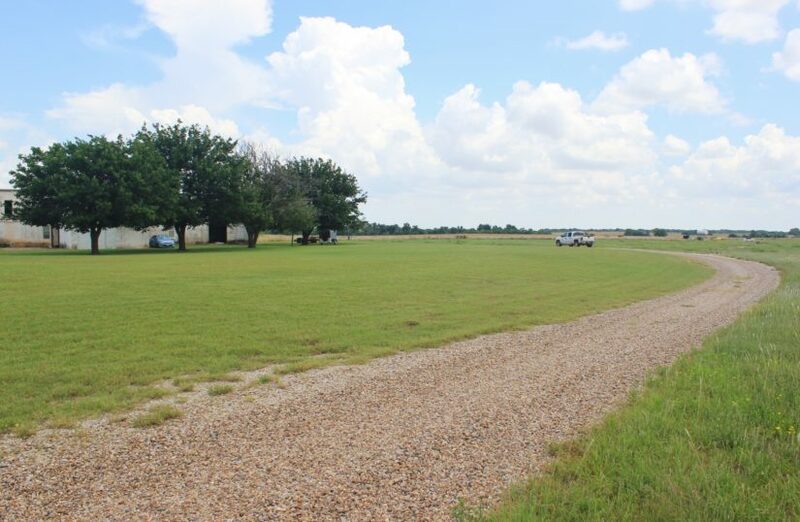 The bulk of the acreage is in grass and could be used to graze horses or cattle. 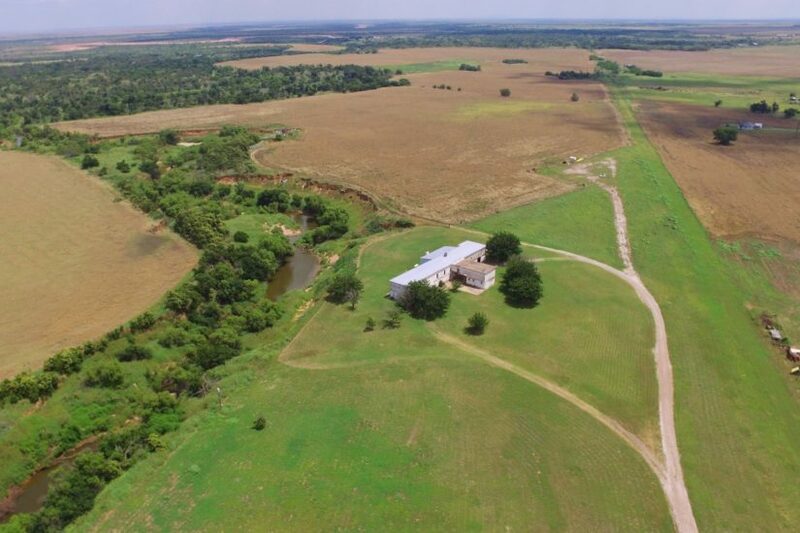 Lots of wildlife frequent this property too, and it is not uncommon to see a flock of Rio Grande turkeys in the back yard or whitetails crossing the pasture. 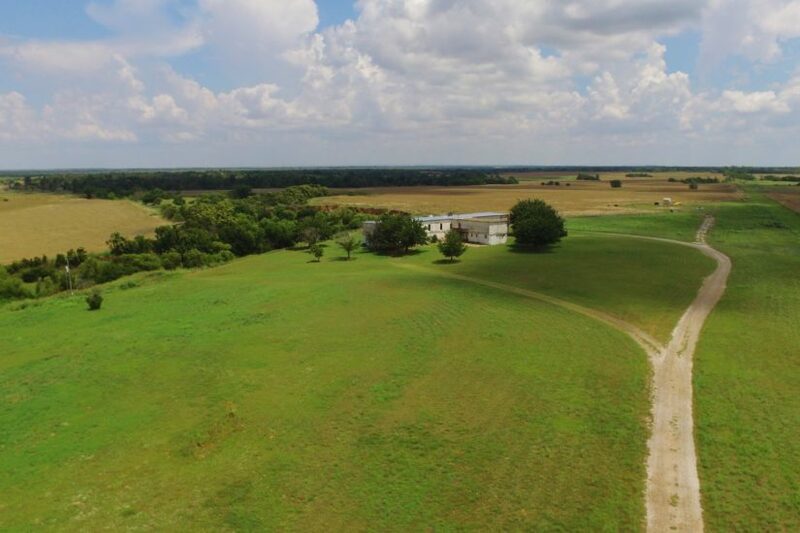 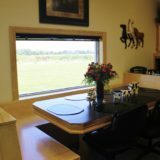 Hunting land and ranches are also available for sale in this area, if you wanted to expand your acreage holdings beyond this property. 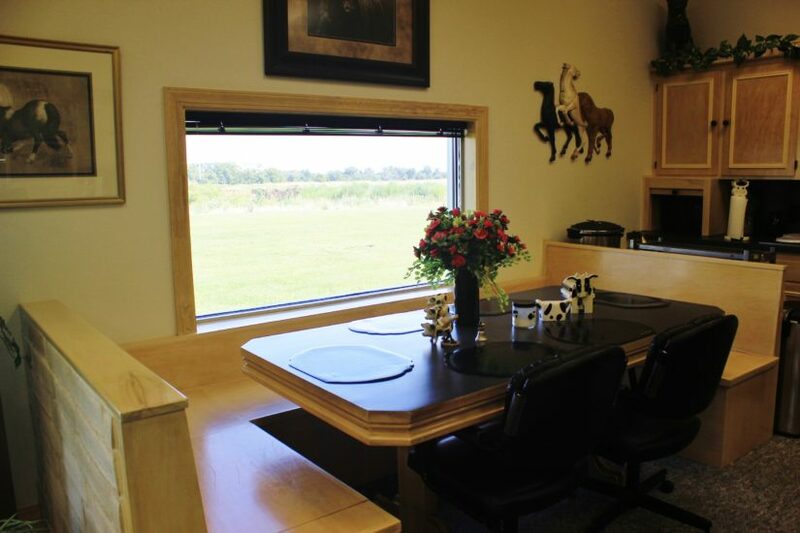 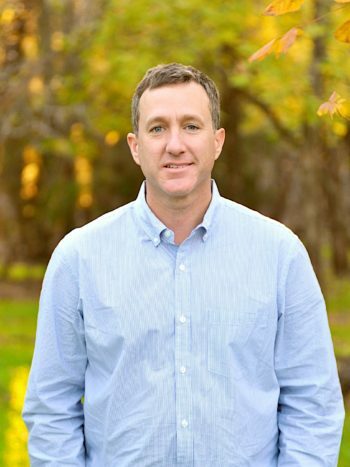 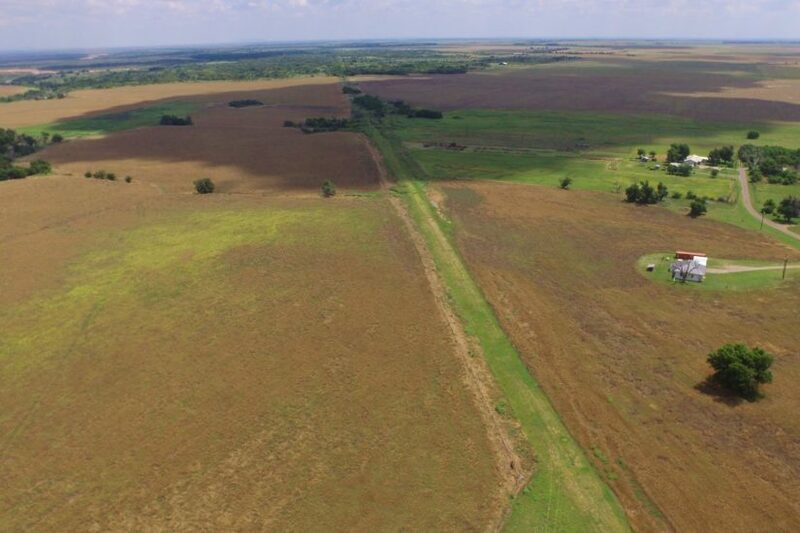 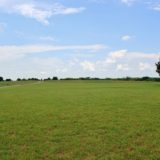 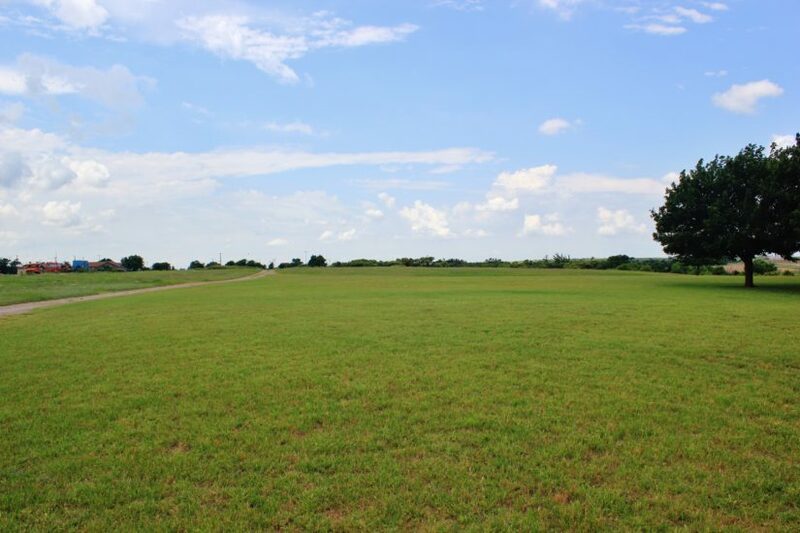 Included in the 22 acres is a 7.4 acre tract of land that was part of the old railway. 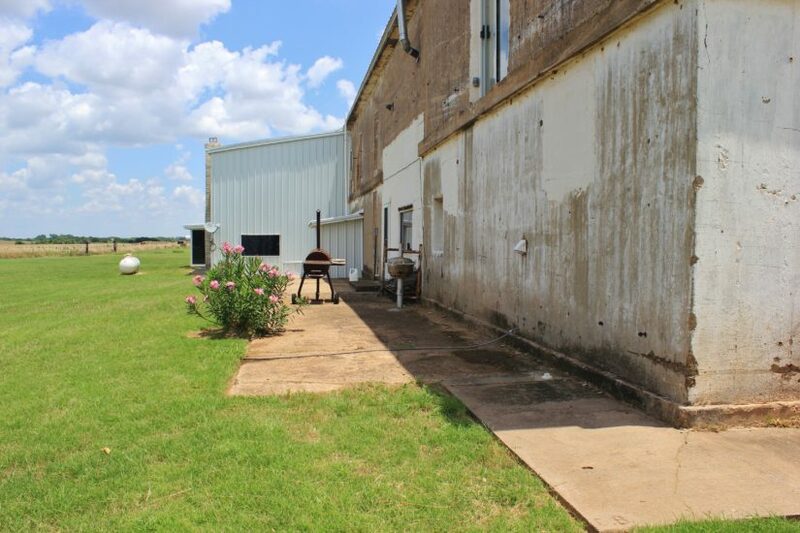 This strip of land is 100′ wide by 3200′ long and was originally purchased to be used as a private landing strip by the owner’s husband, who was a cropduster. 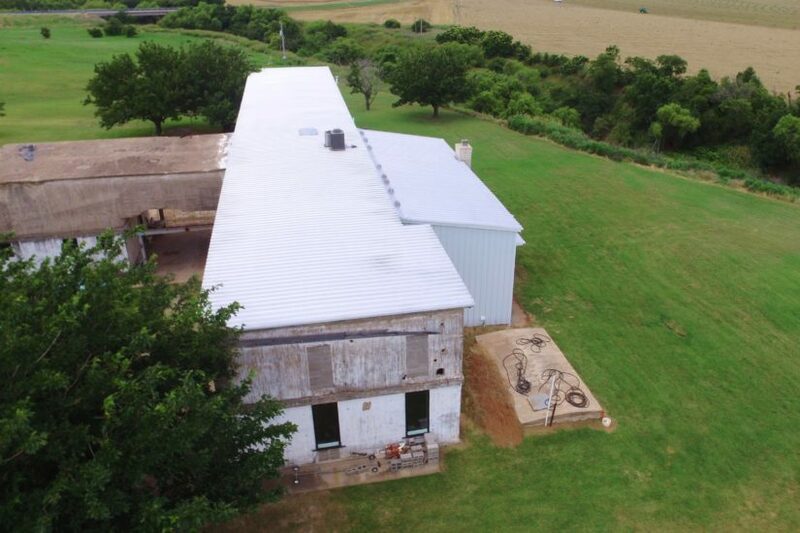 A little dozer work could quickly make this a reality. 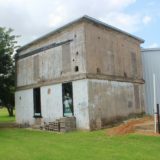 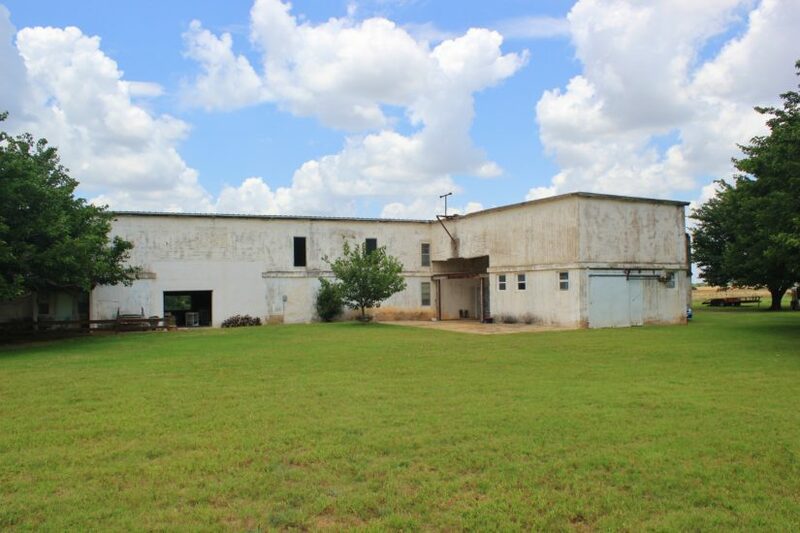 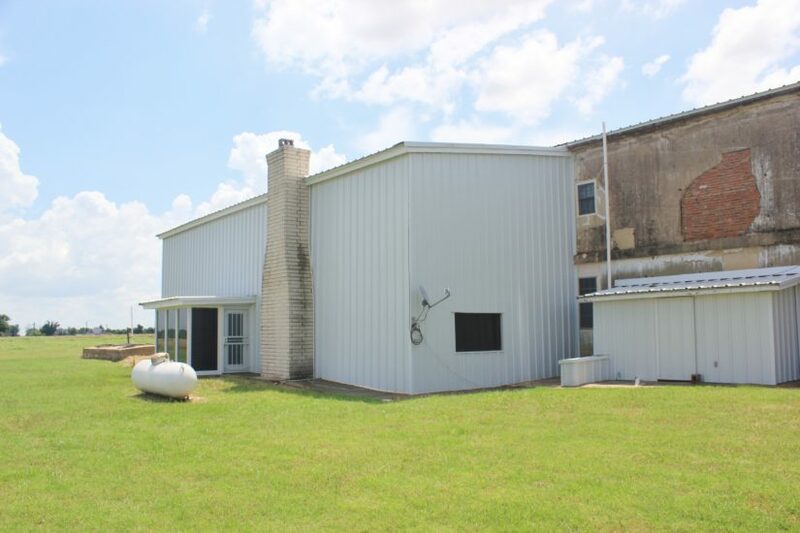 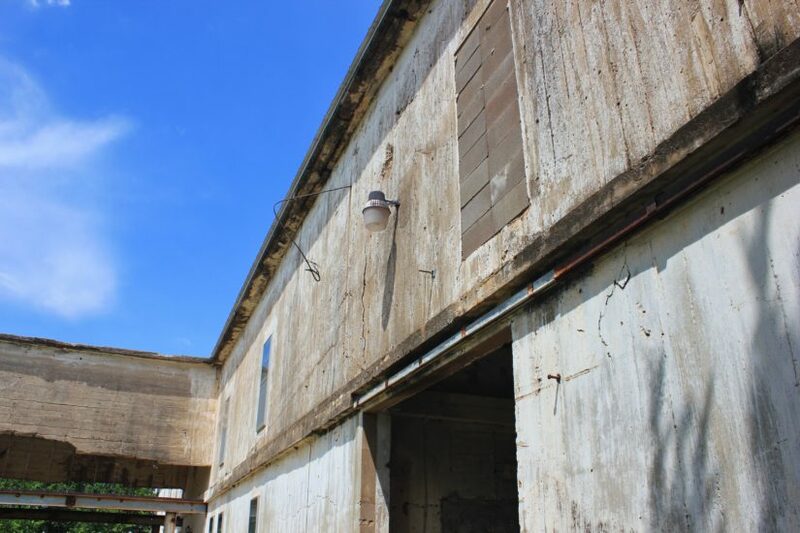 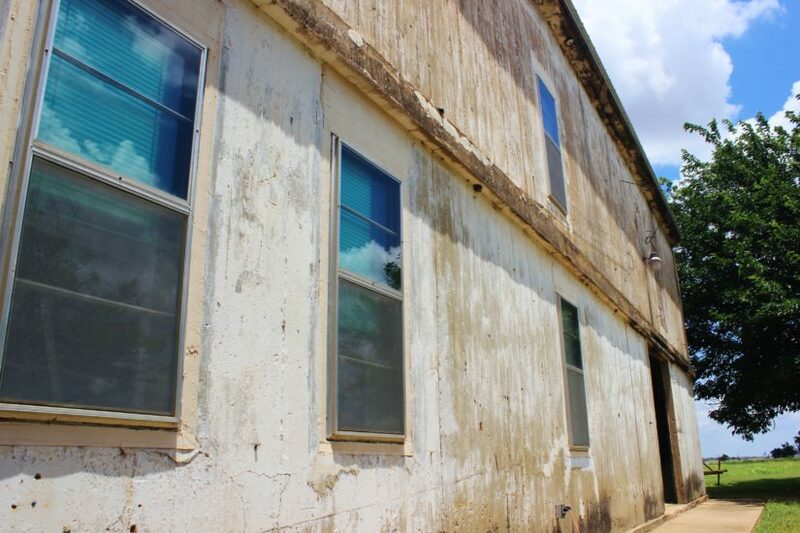 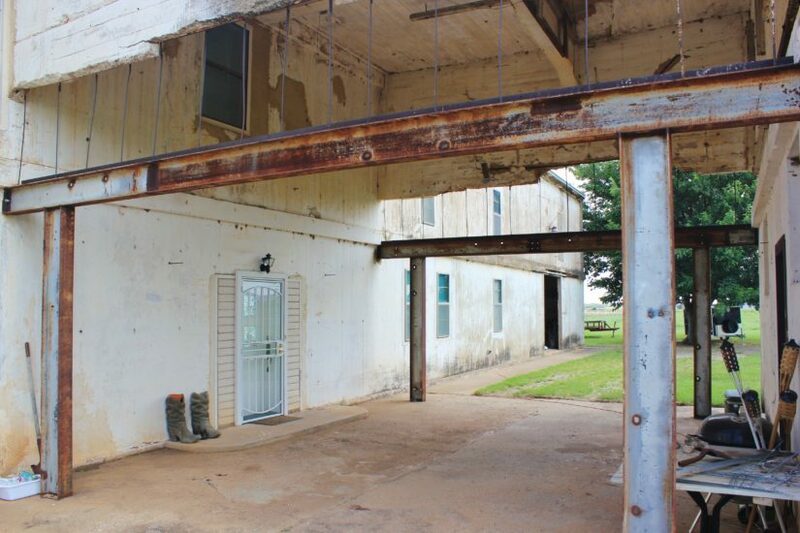 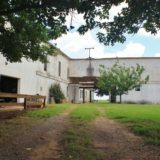 The Odell Cotton Gin has been drastically reduced to $295,000 (Down from $395,000). 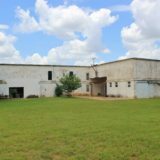 This is an amazing opportunity to own a unique property with a rich history and ideal location. 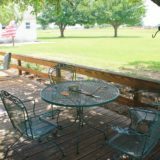 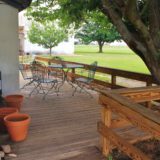 Odell has several annual community cook outs and events and is the perfect place to get away from the big city to small town American life. 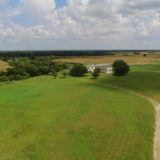 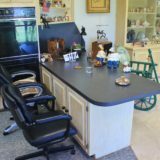 This is a place you and your family could enjoy for decades to come! 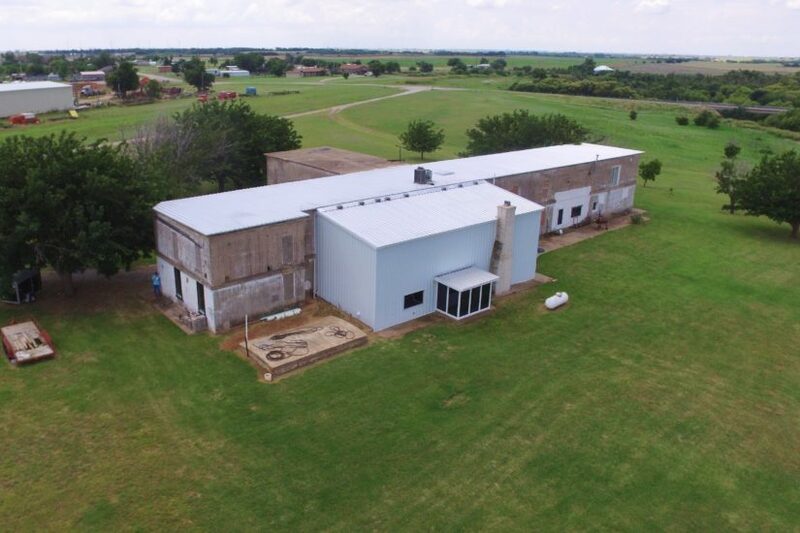 For more information about this property or to schedule your private viewing, contact agent Ben Belew at cell phone (940) 357-9940. 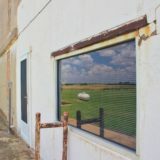 ***All pictures in the Photo Gallery are owned by Broker, except the two copies of older prints, which came from Wilbarger County Texas, 1986, published by Wilbarger County Historical Commission, printed by Craftsman Printers, Inc., Lubbock, Texas.